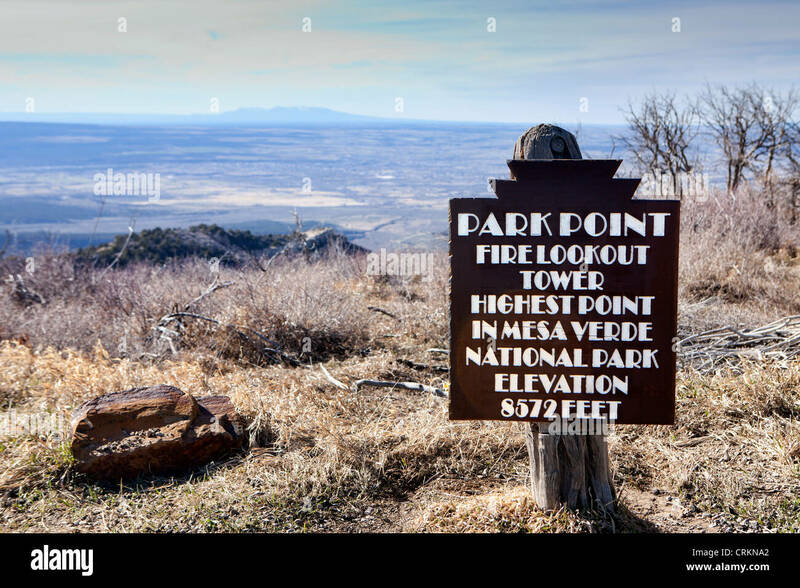 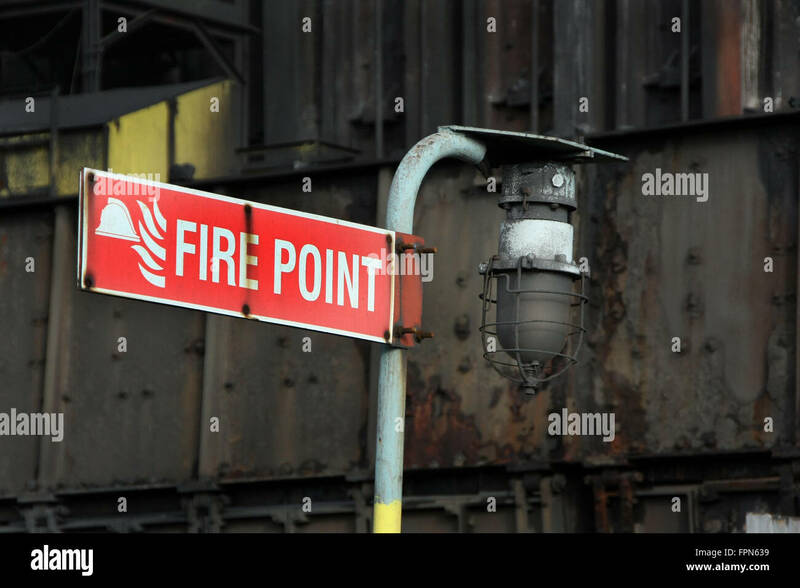 Fire point sign with light. 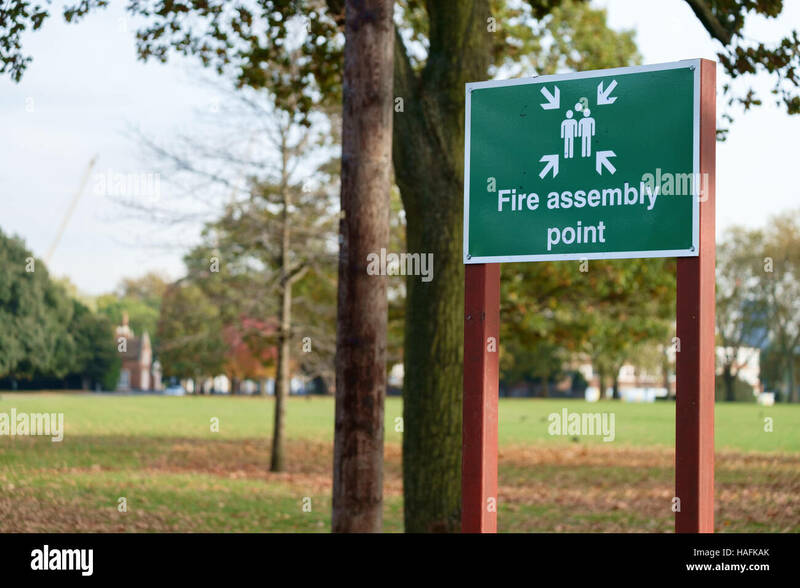 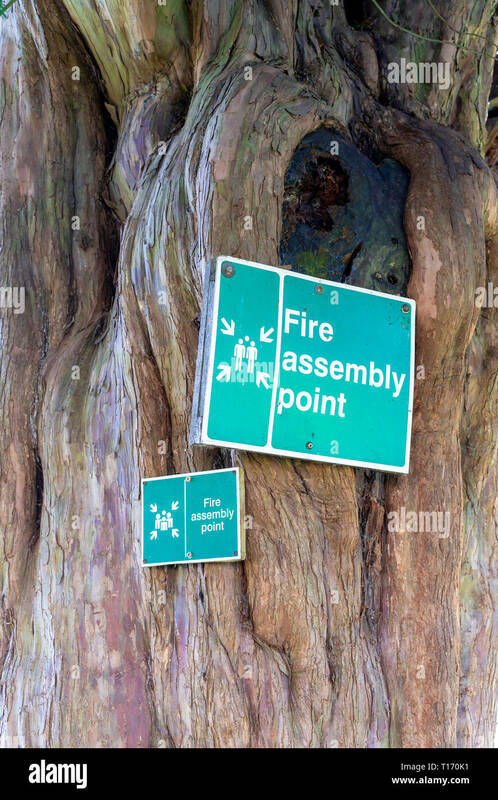 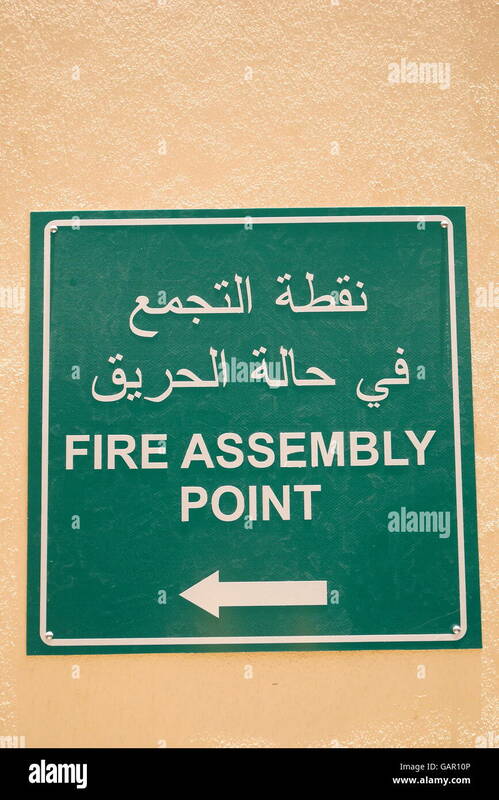 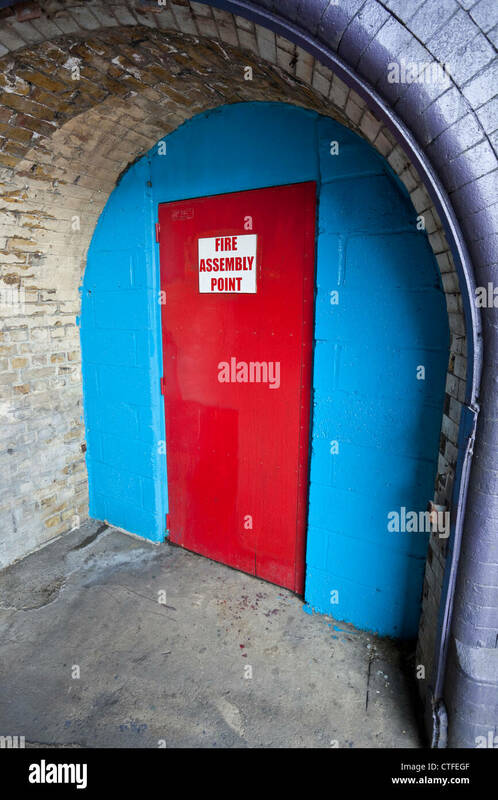 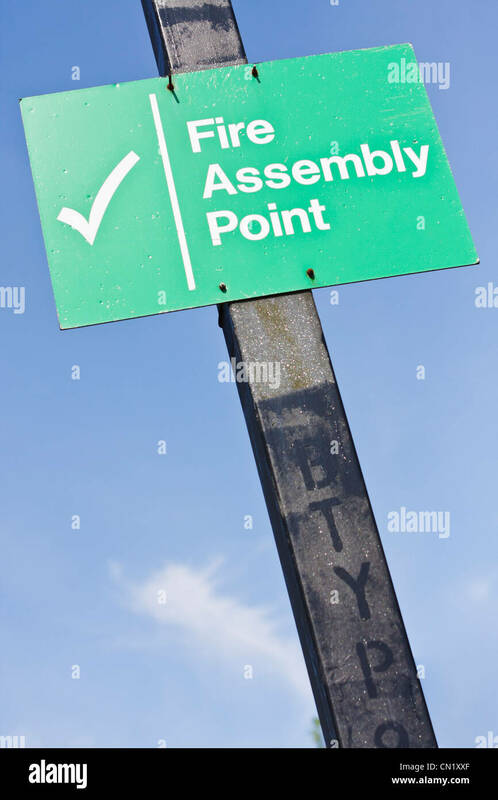 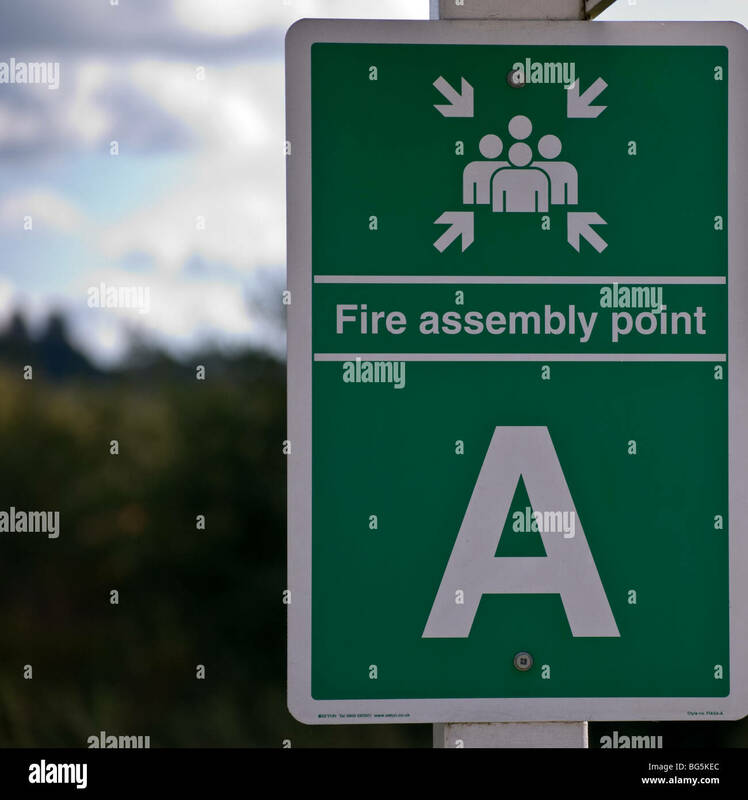 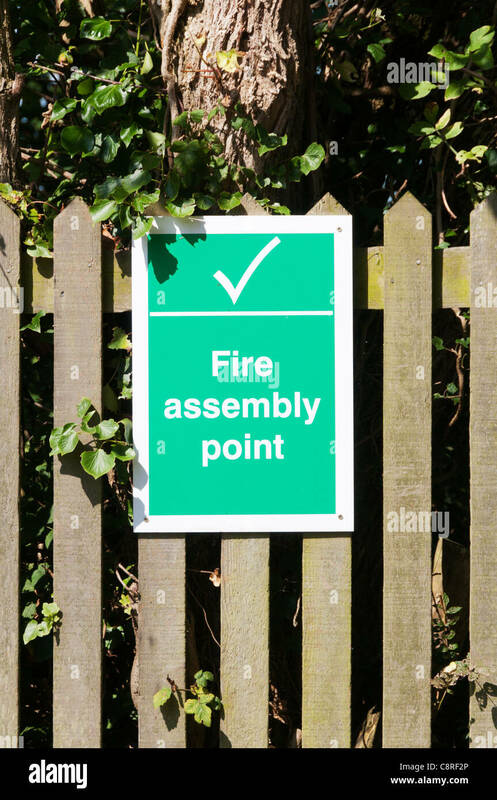 A fire assembly point sign. 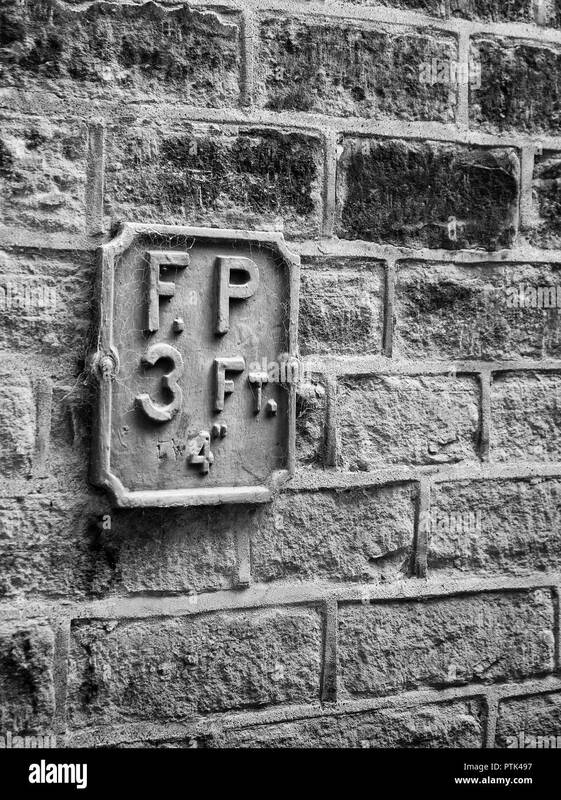 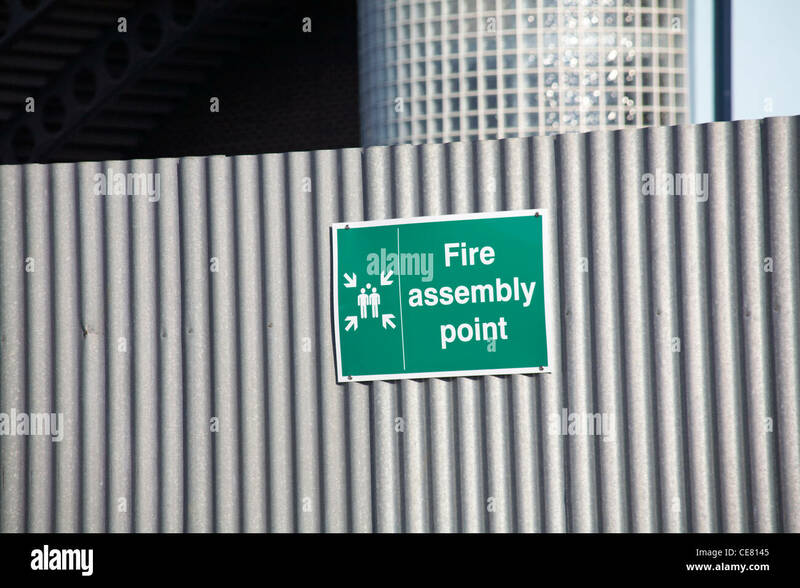 Fire Point sign on the wall of a building in Brighton, East Sussex, UK. 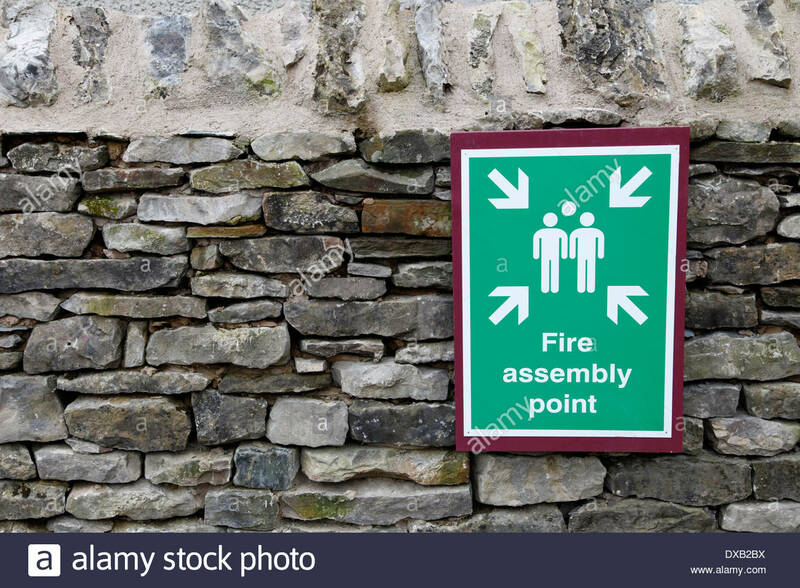 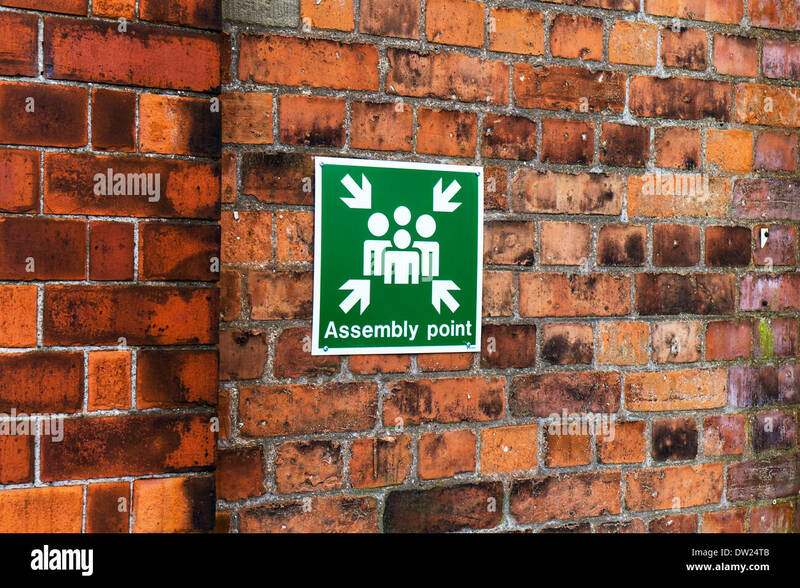 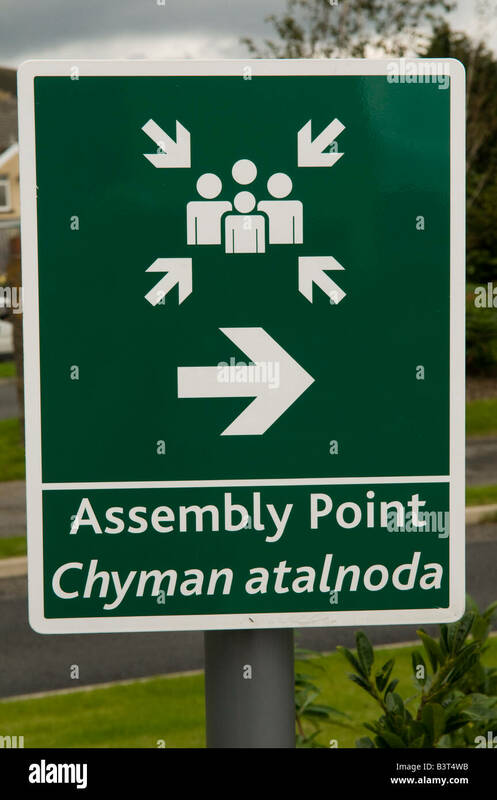 A green and white Fire Assembly Point sign, with stylized people and arrows, attached to a stone wall. 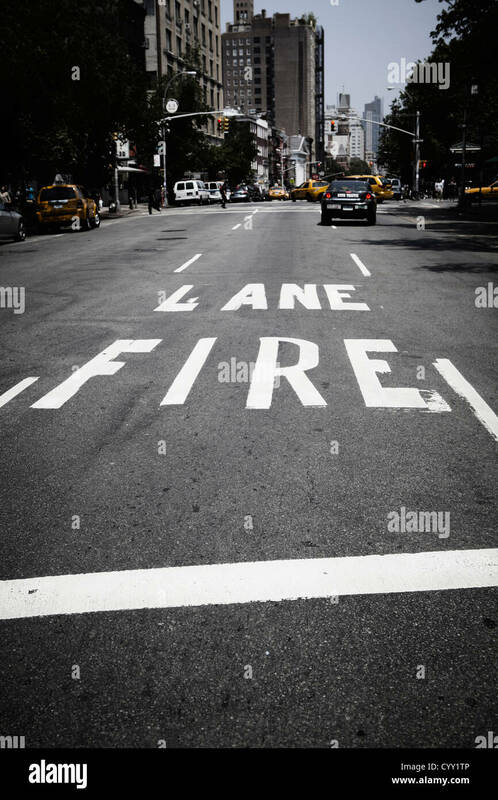 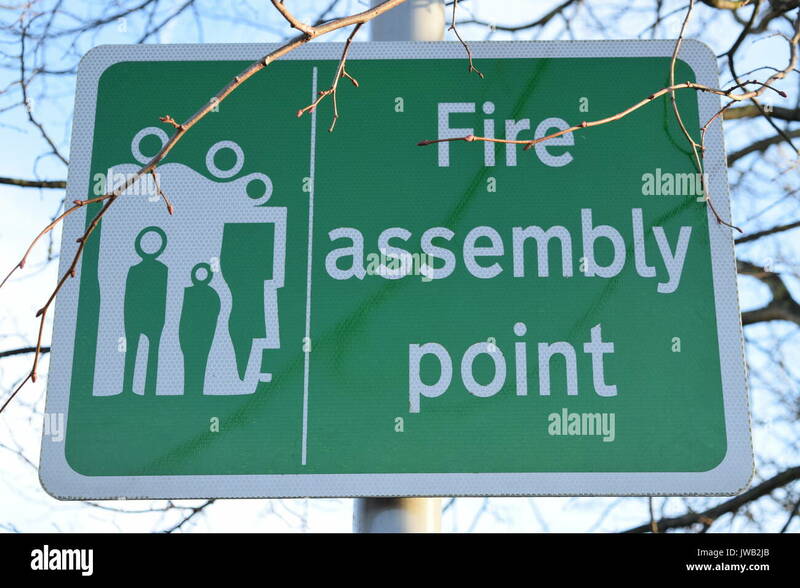 Sign fire assembly point on the street. 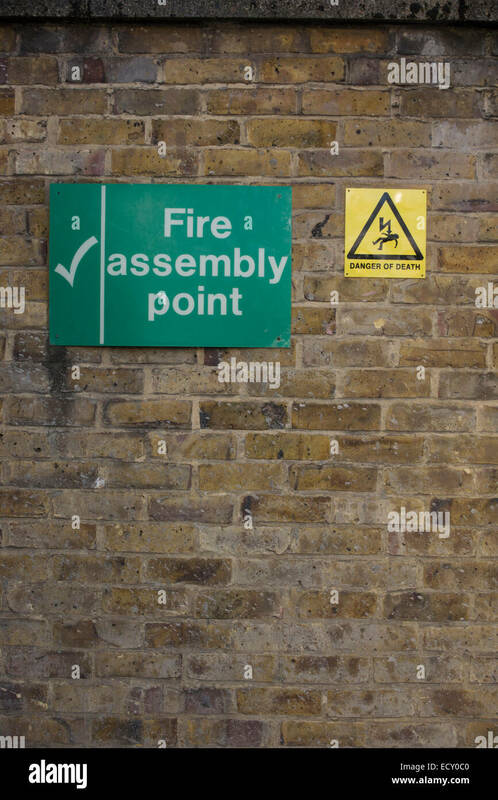 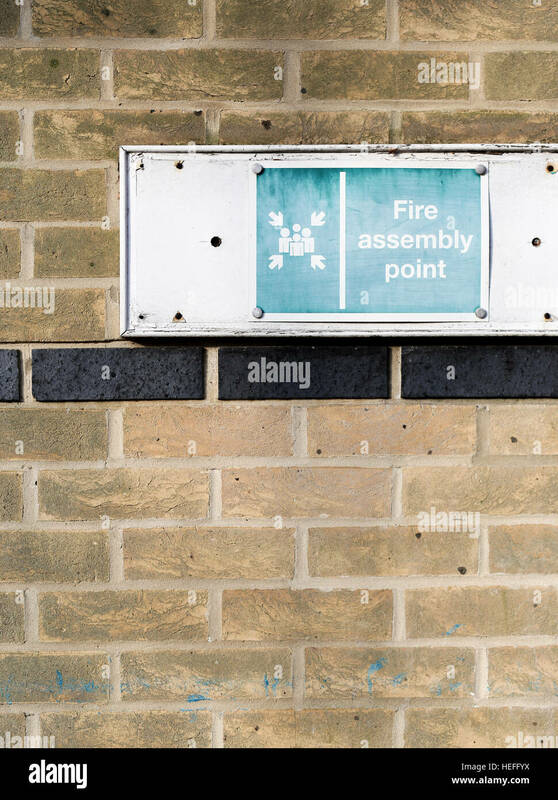 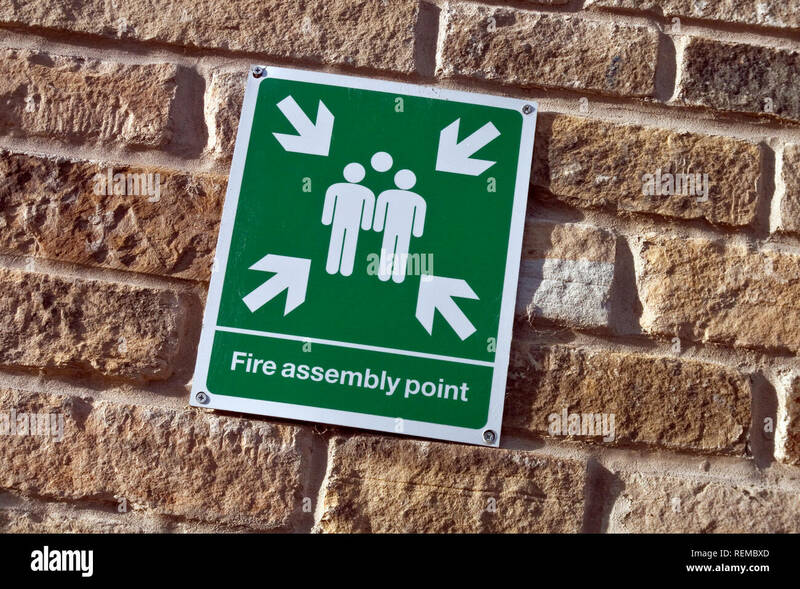 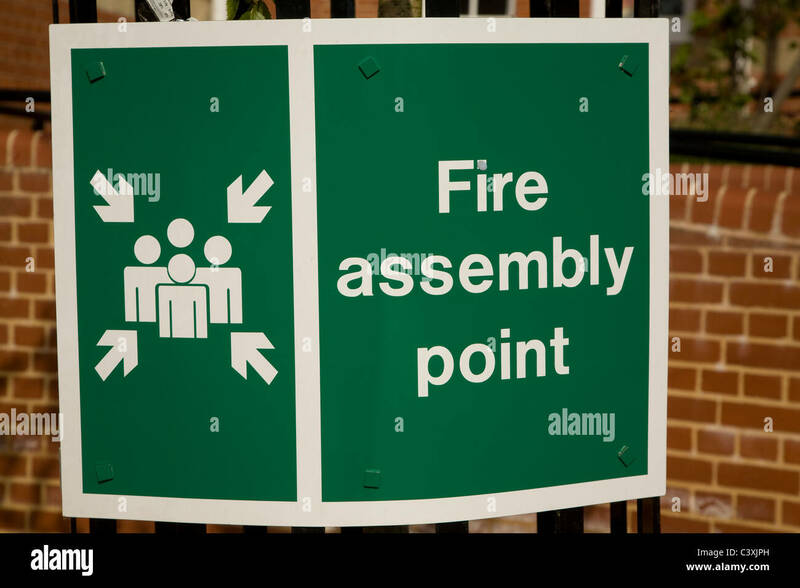 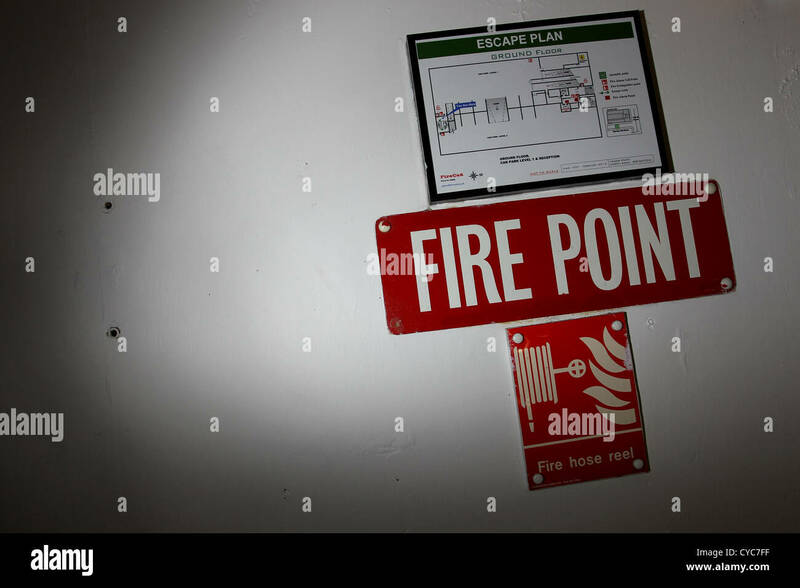 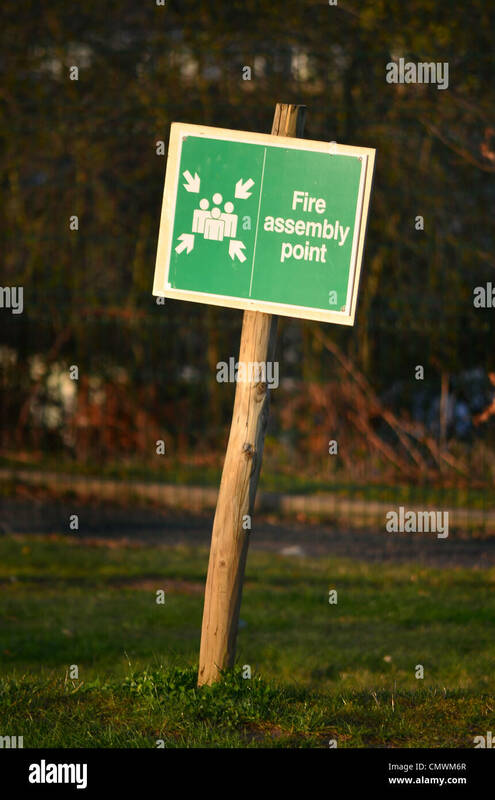 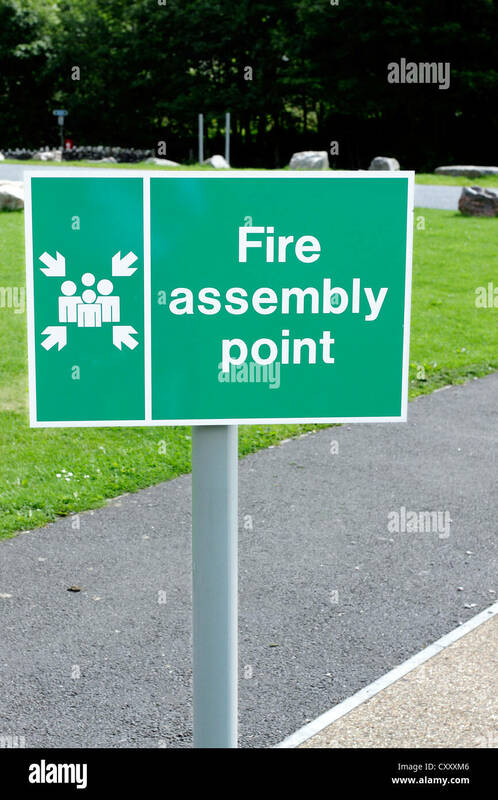 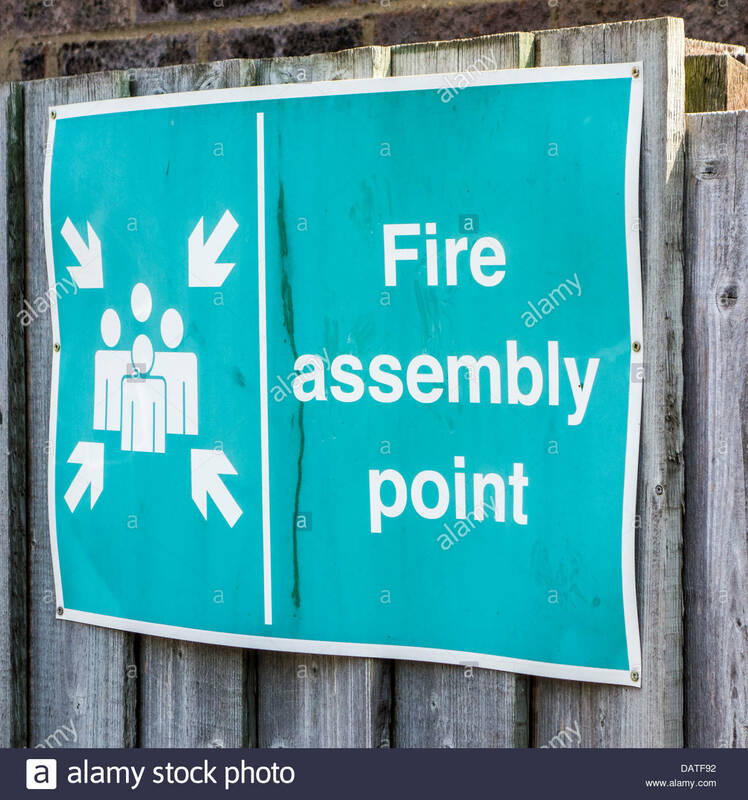 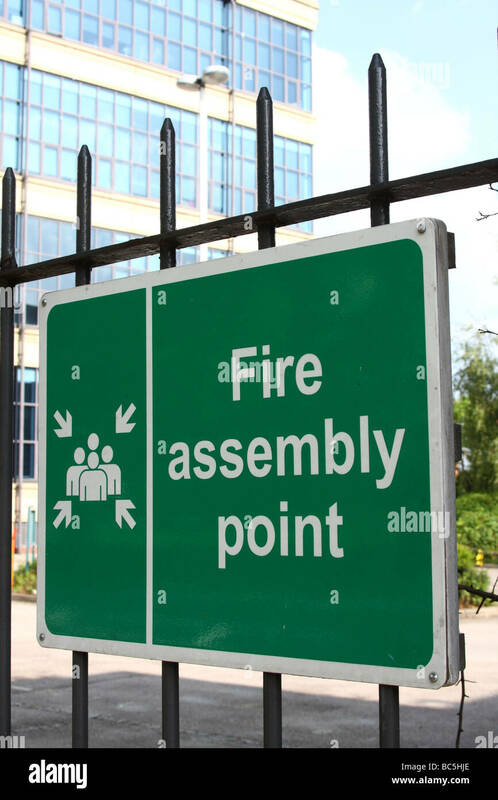 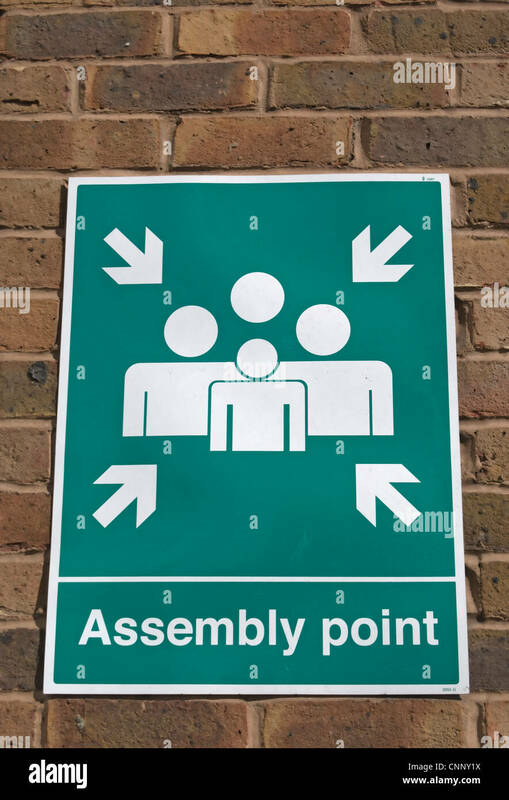 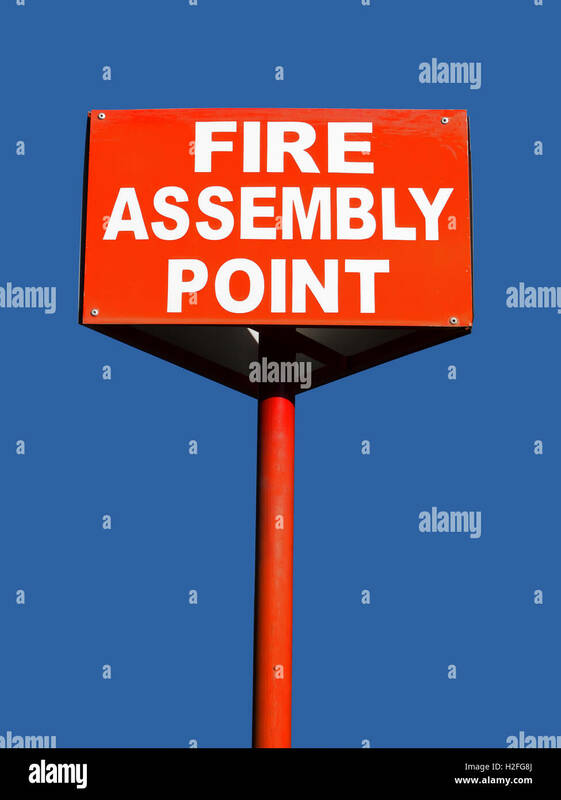 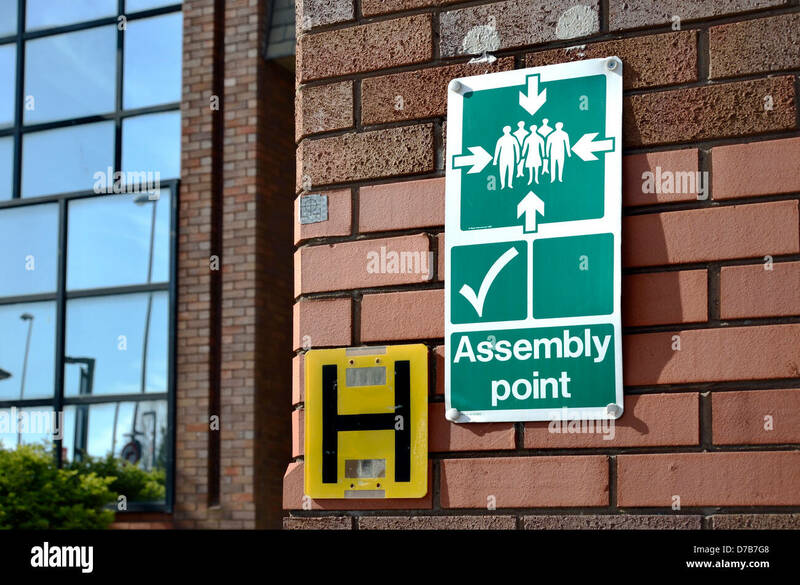 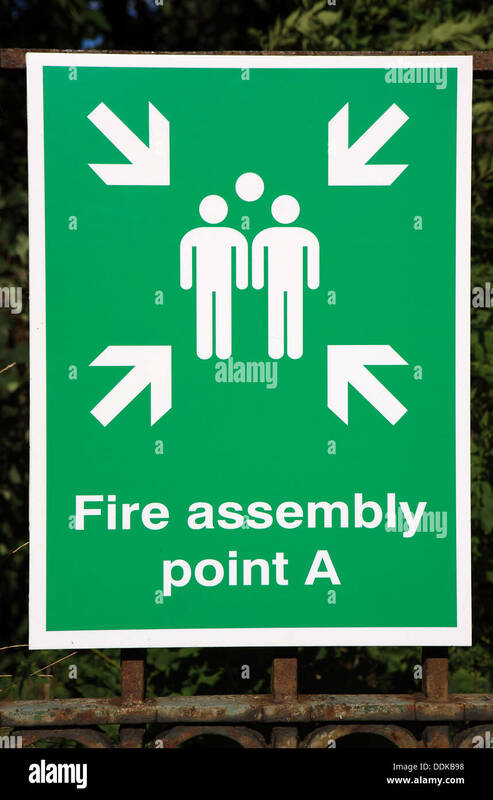 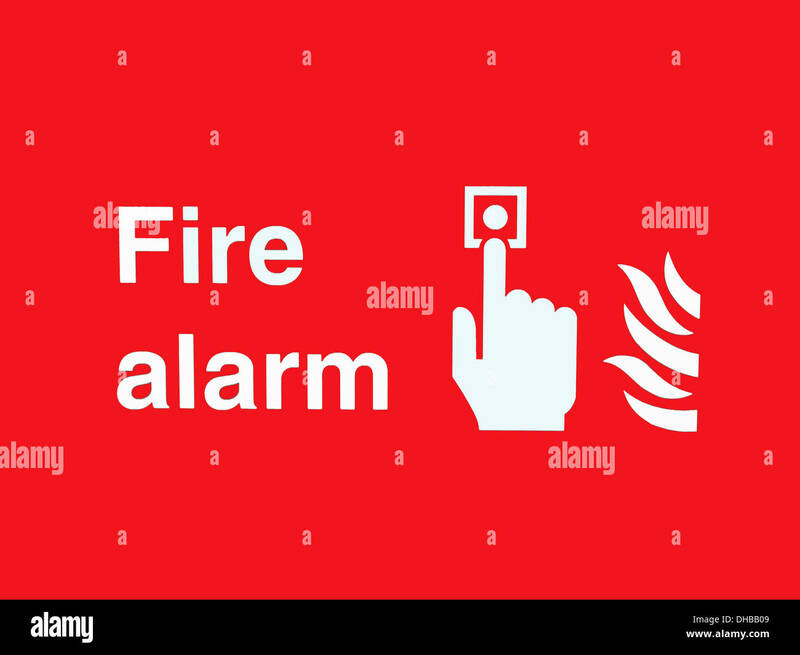 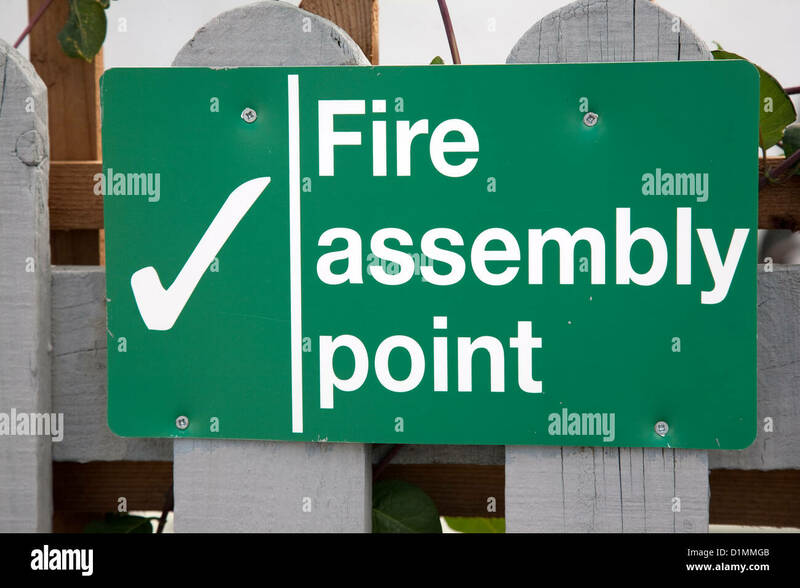 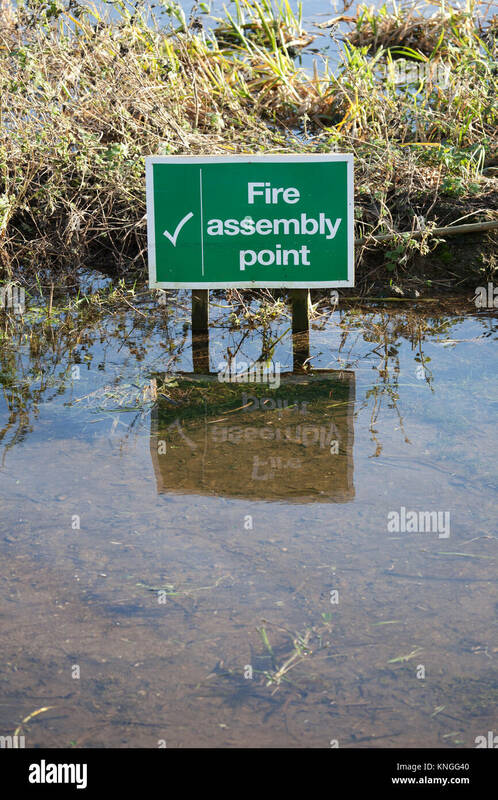 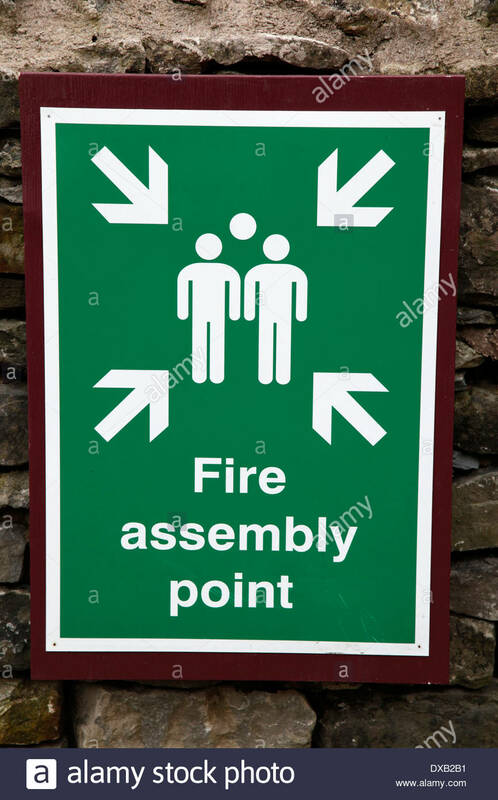 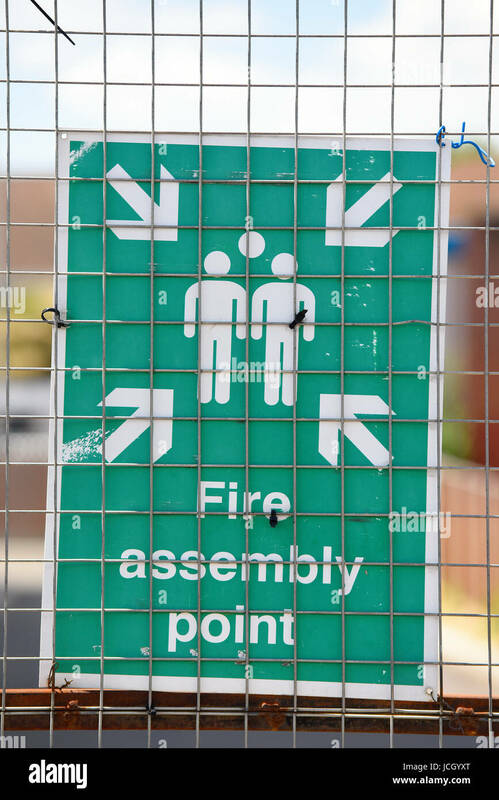 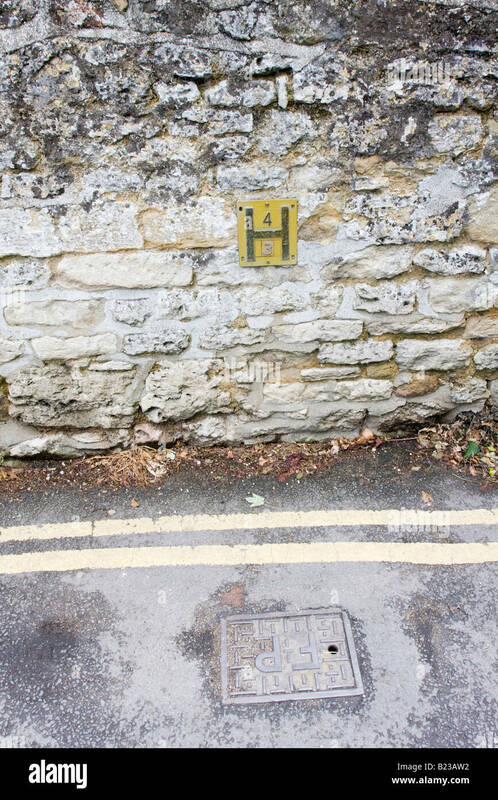 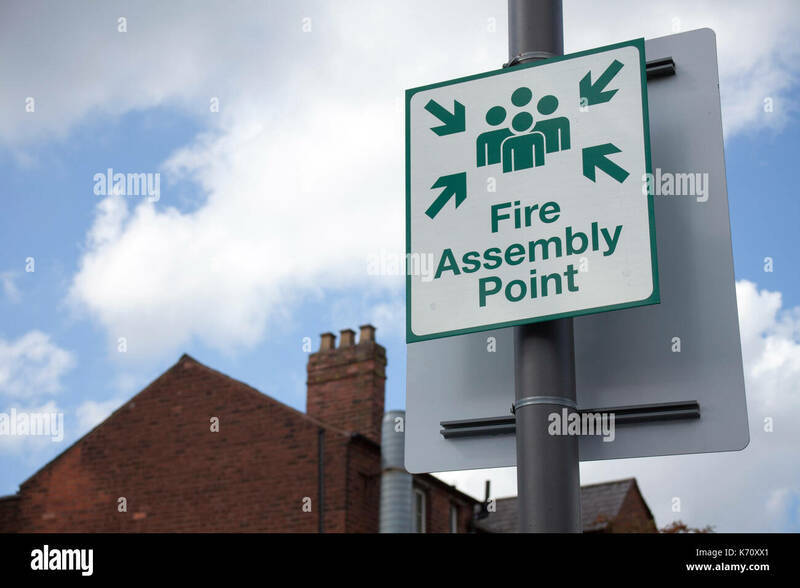 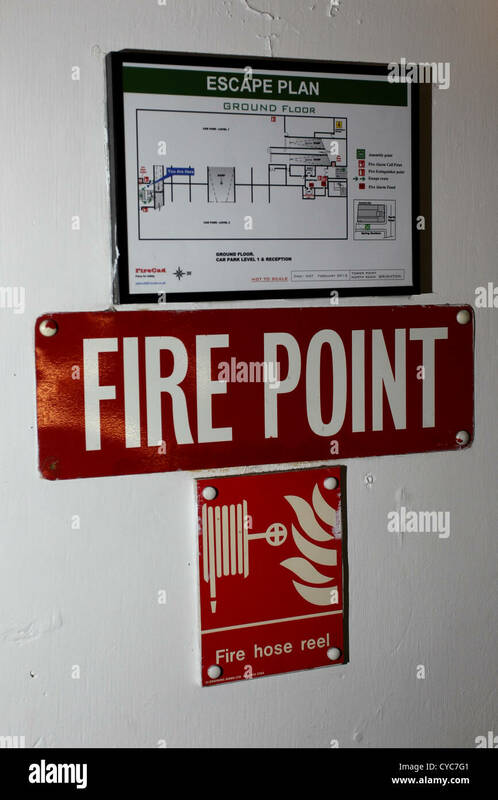 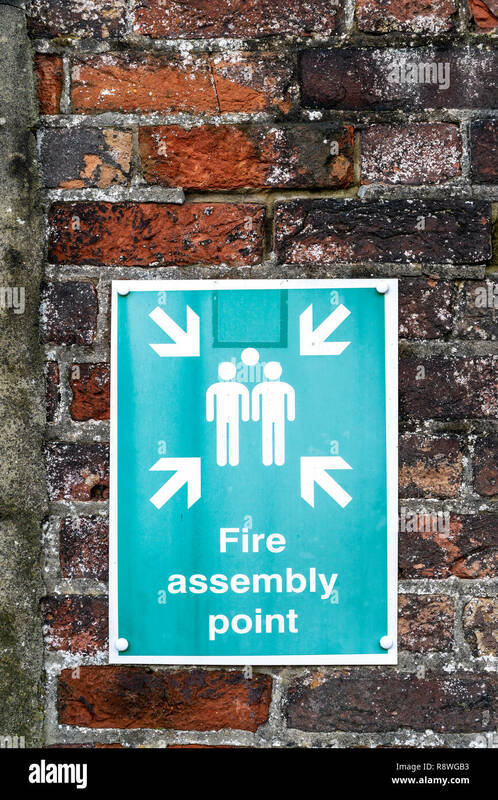 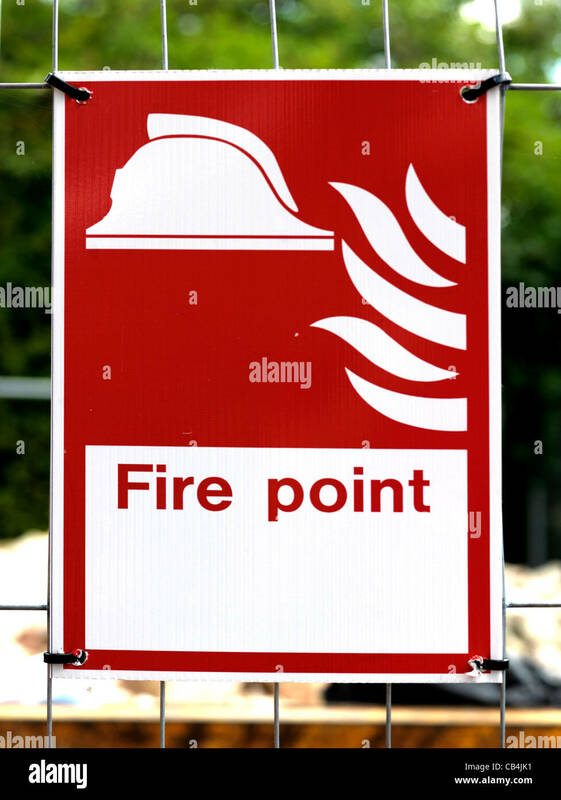 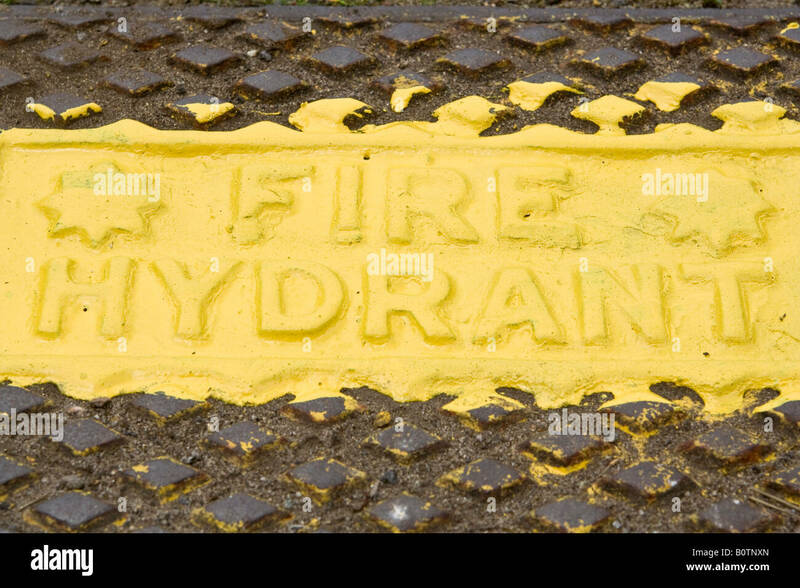 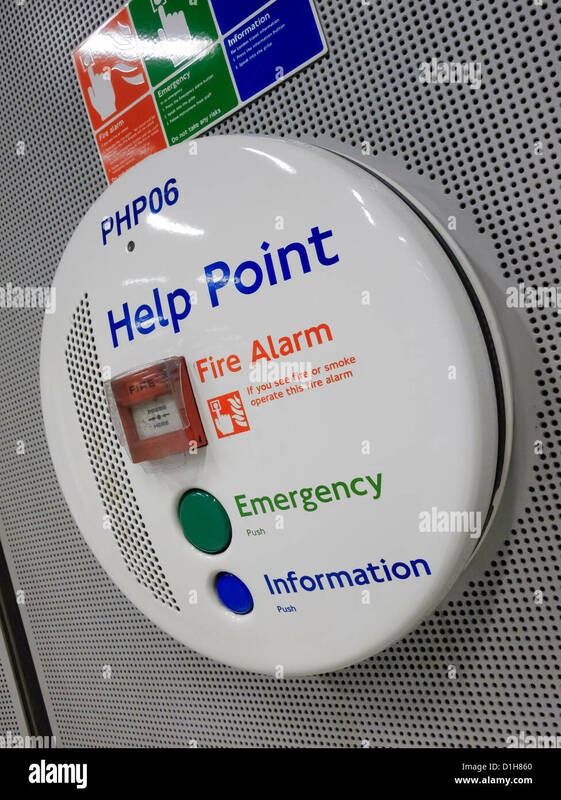 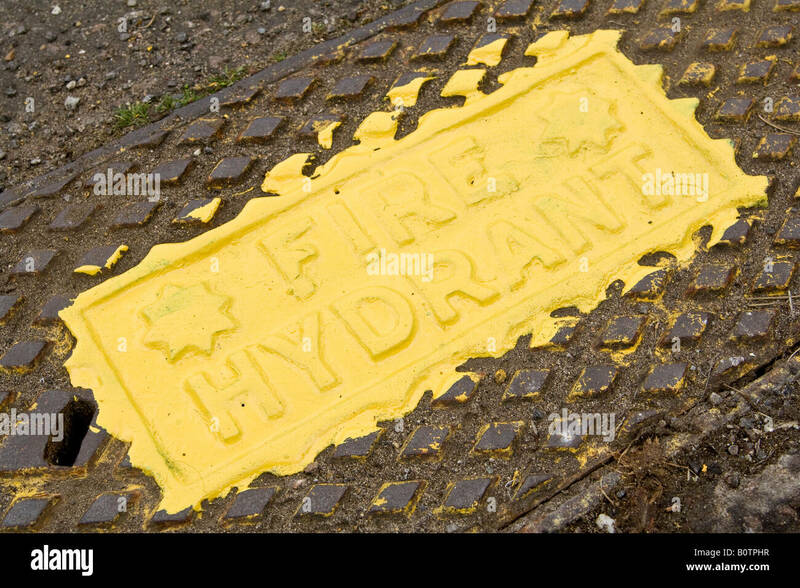 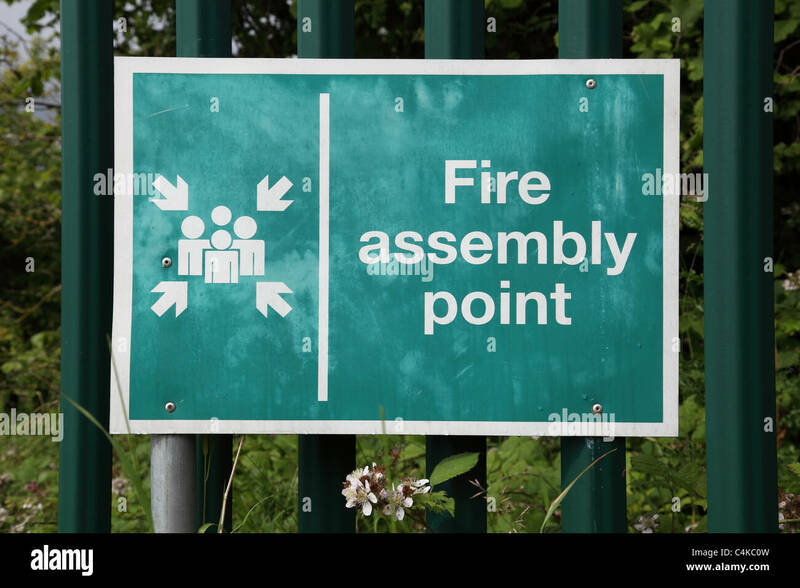 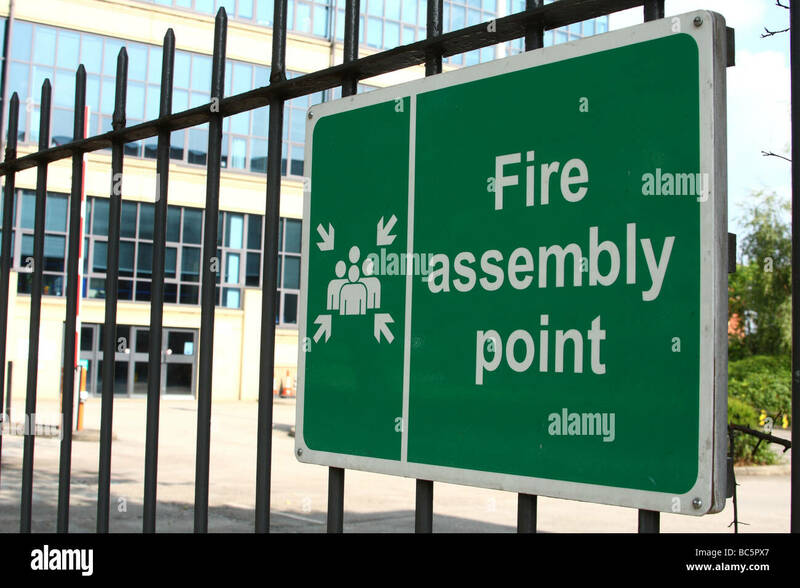 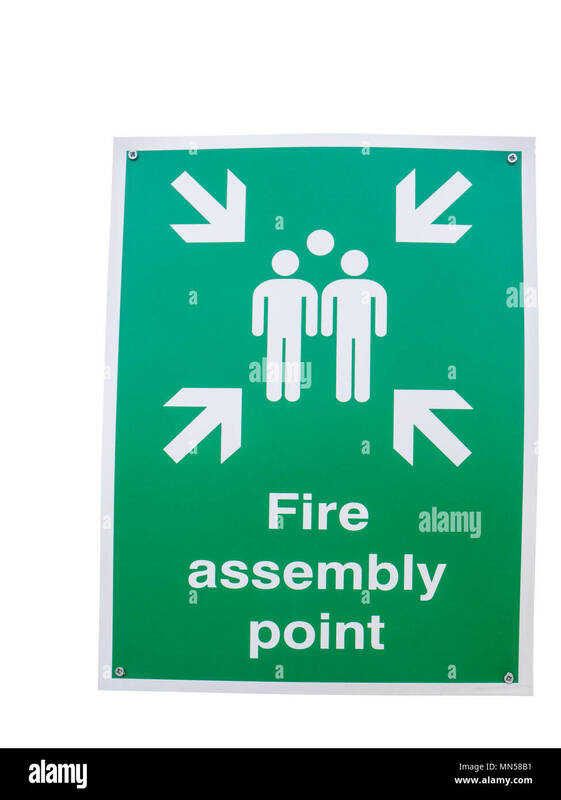 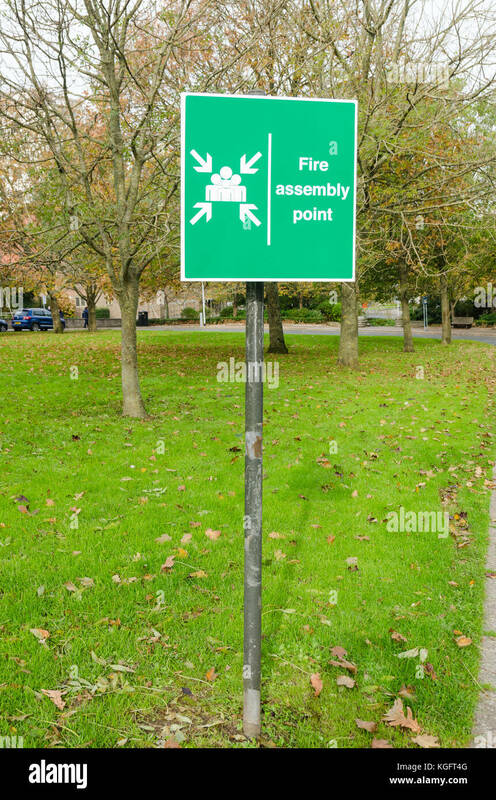 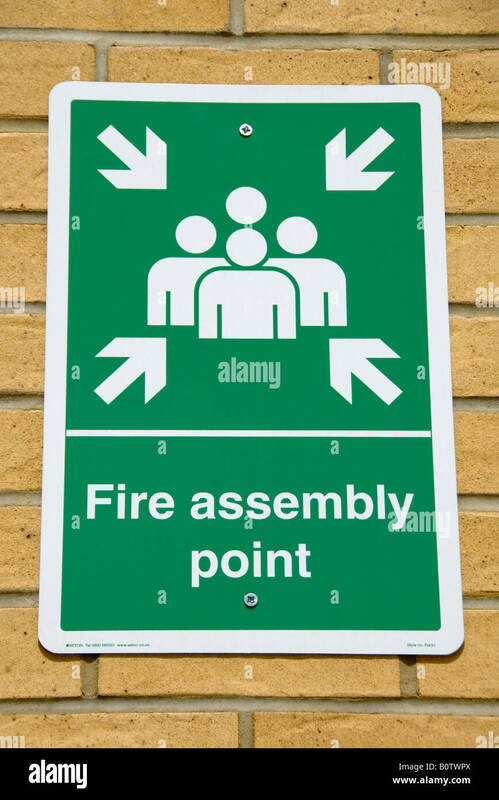 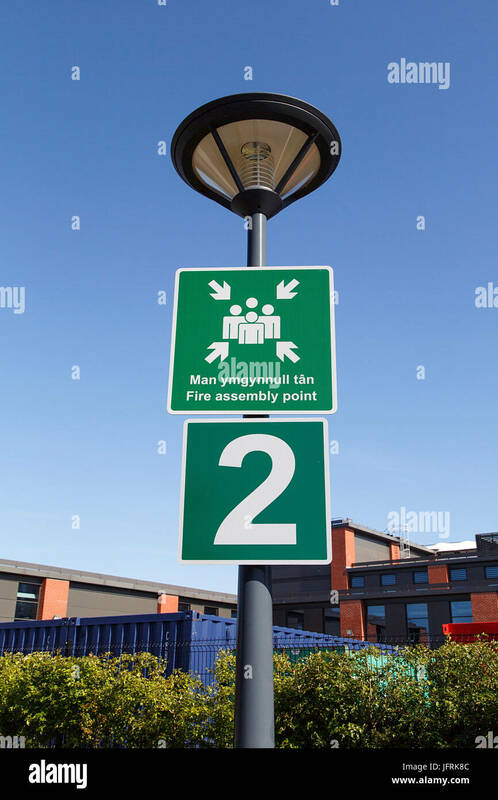 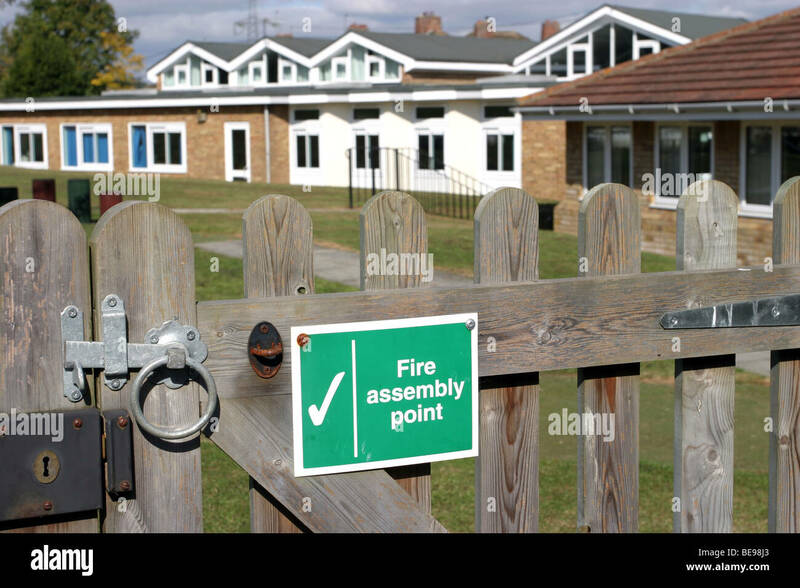 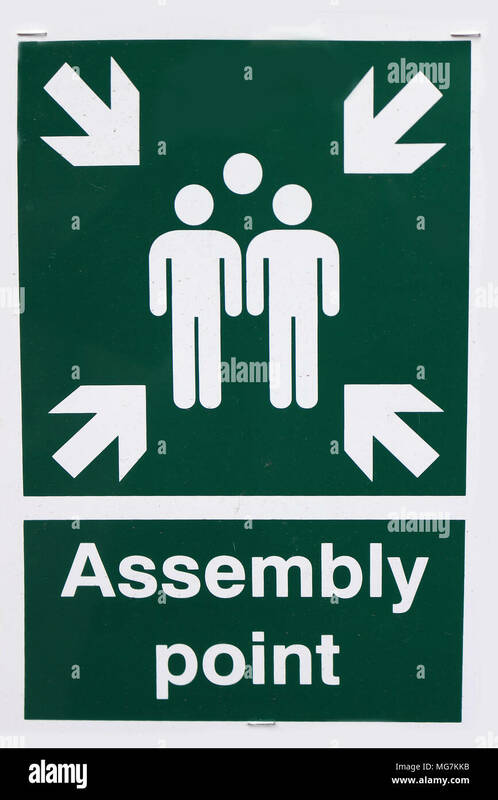 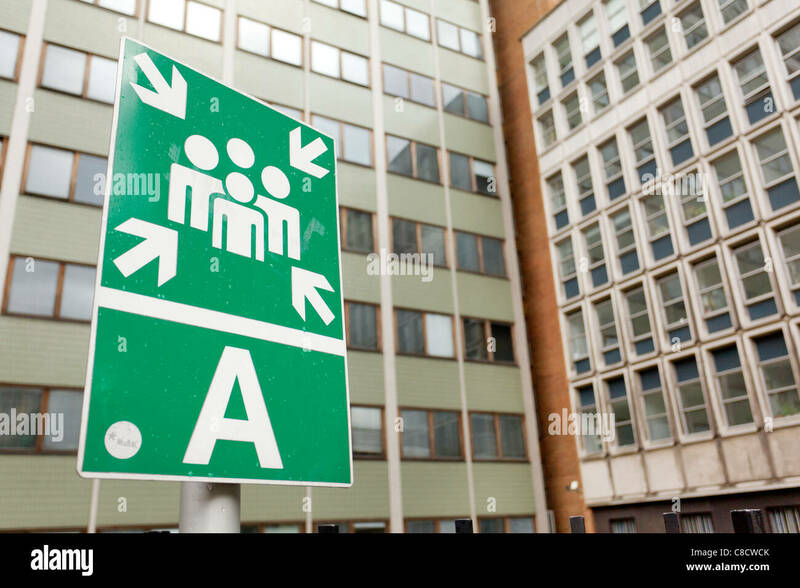 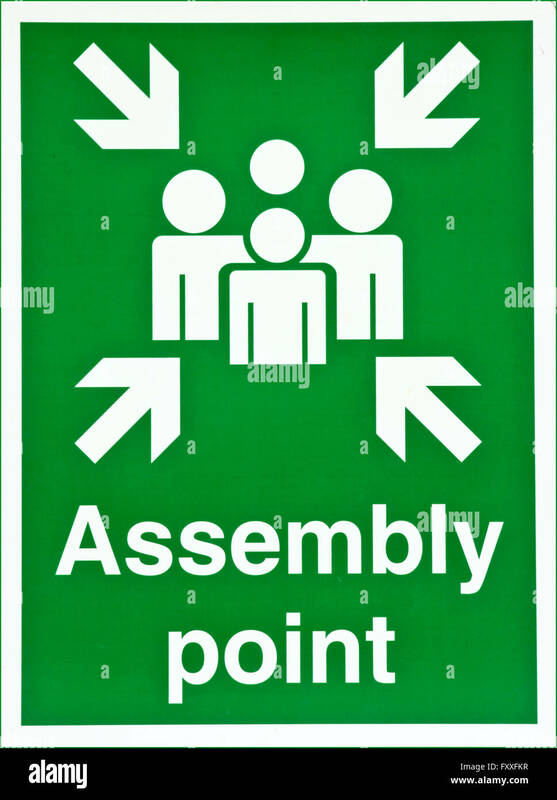 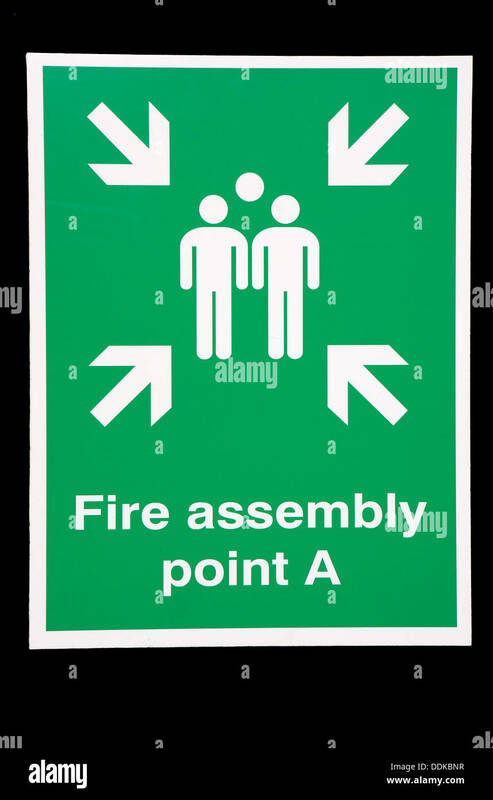 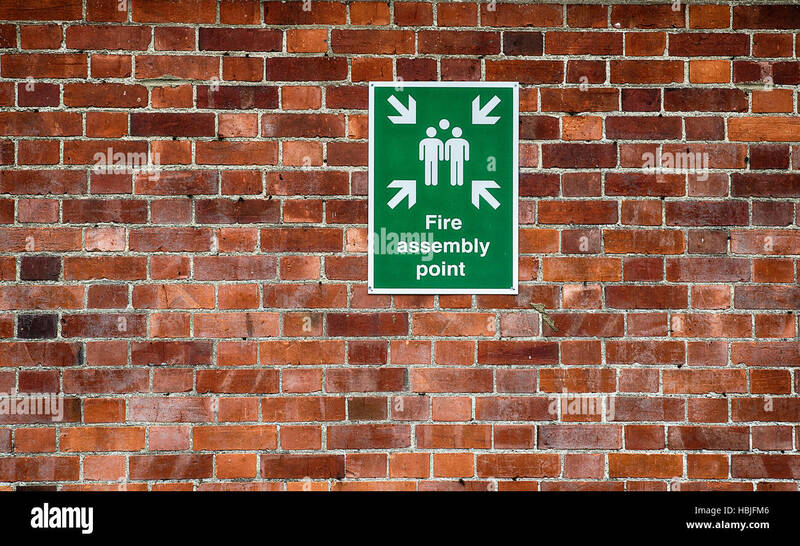 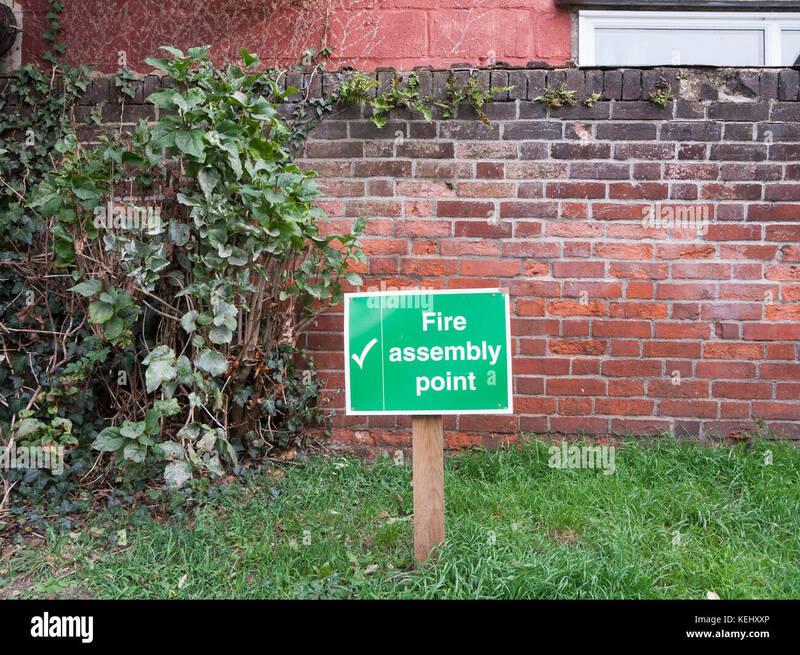 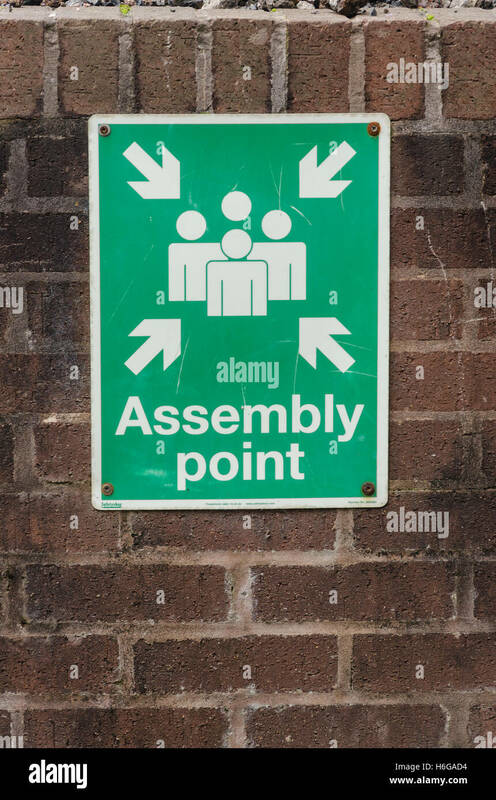 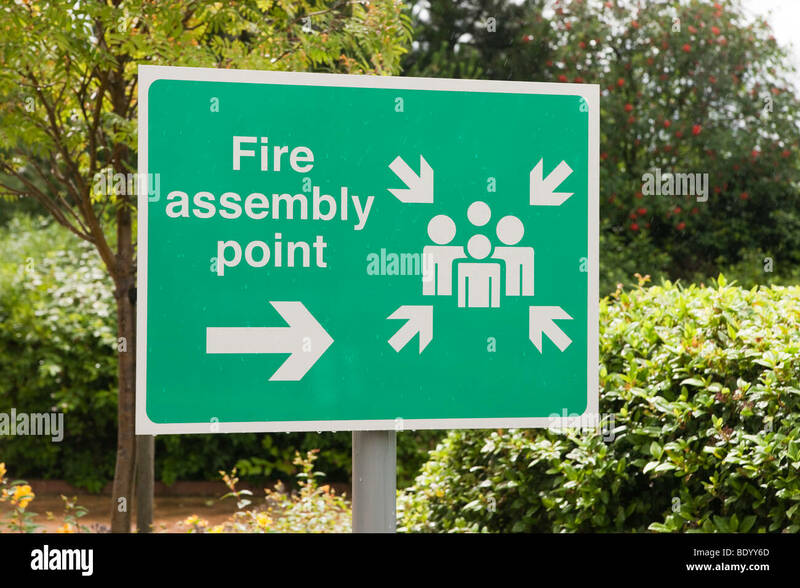 A fire assembly point sign in the U.K.
A sign denoting a Fire Assembly Point outside an office block. 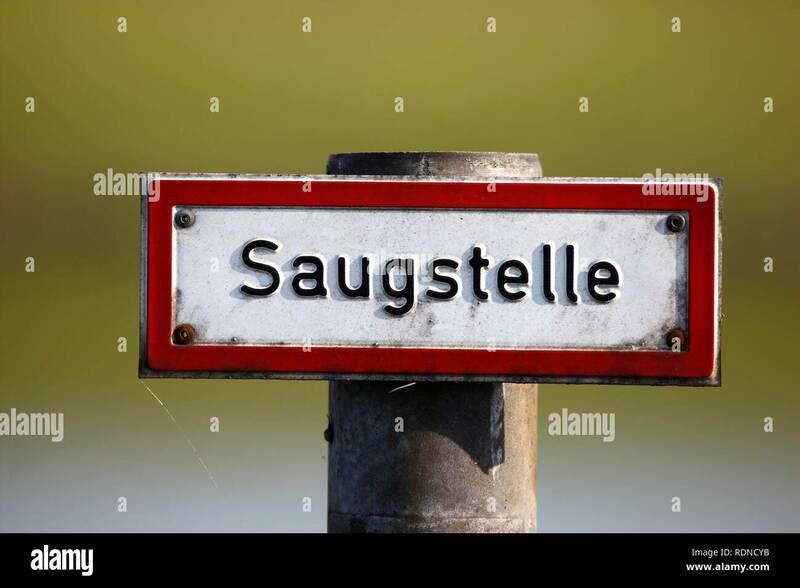 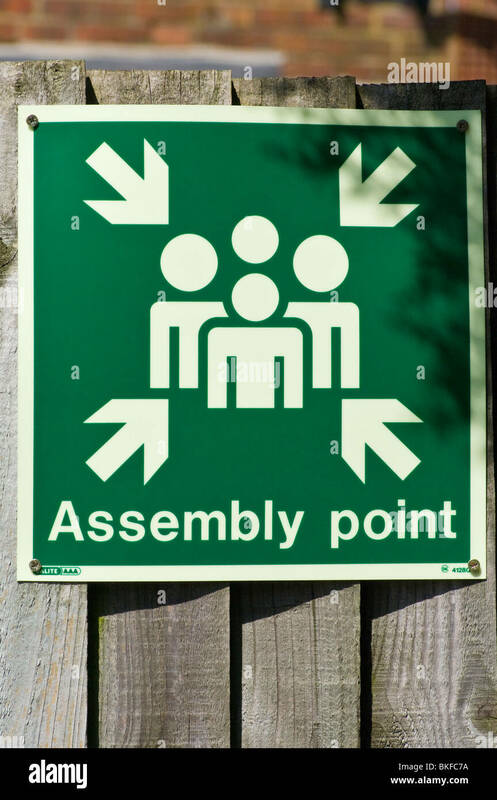 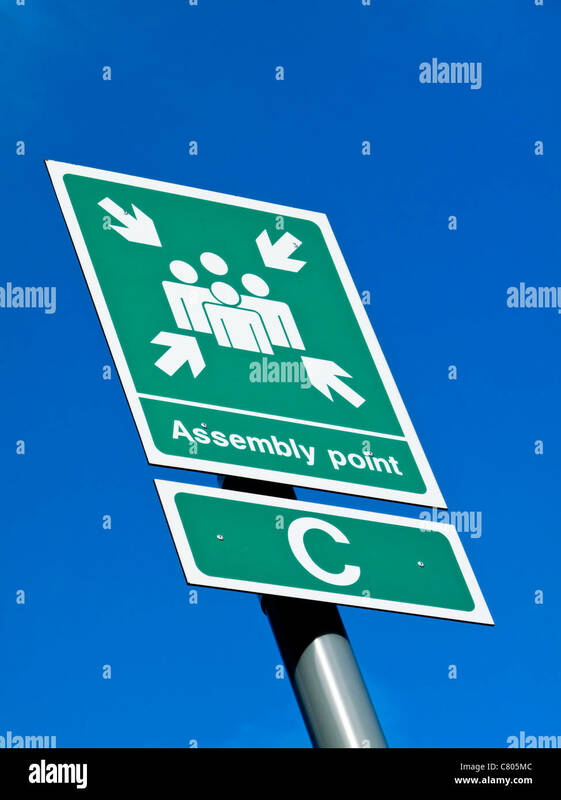 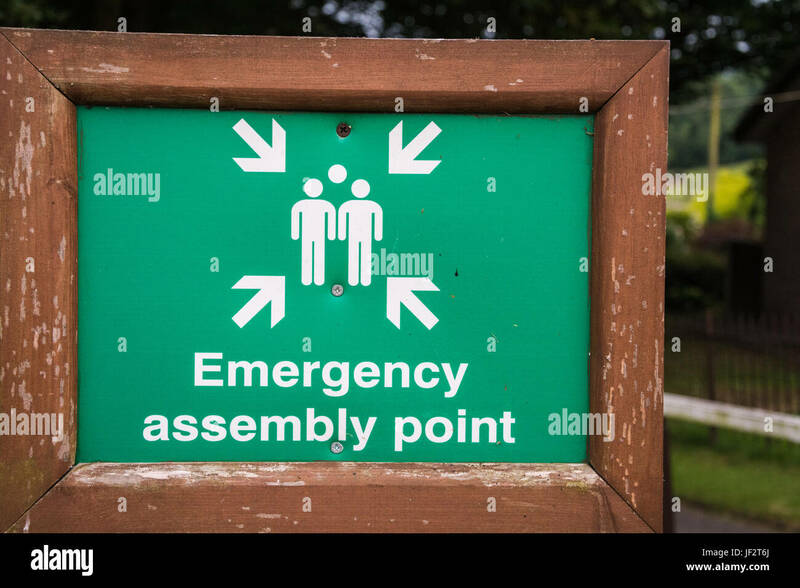 A sign saying: Emergency Assembly Point. 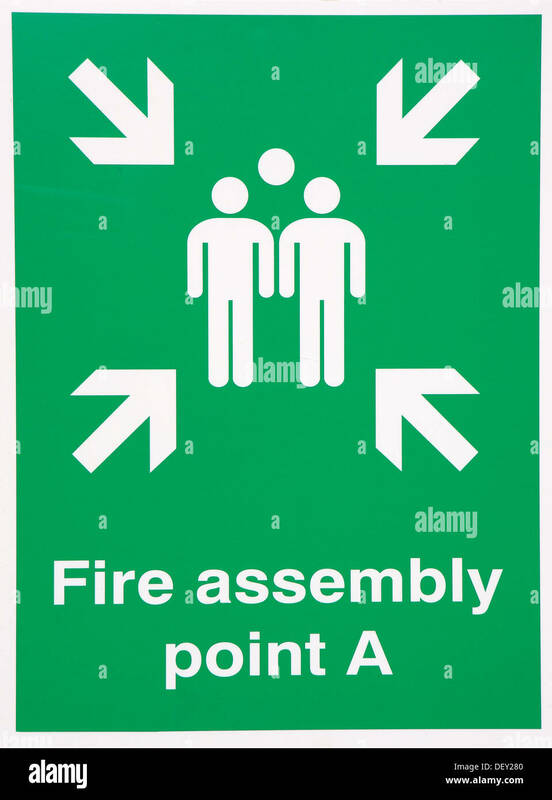 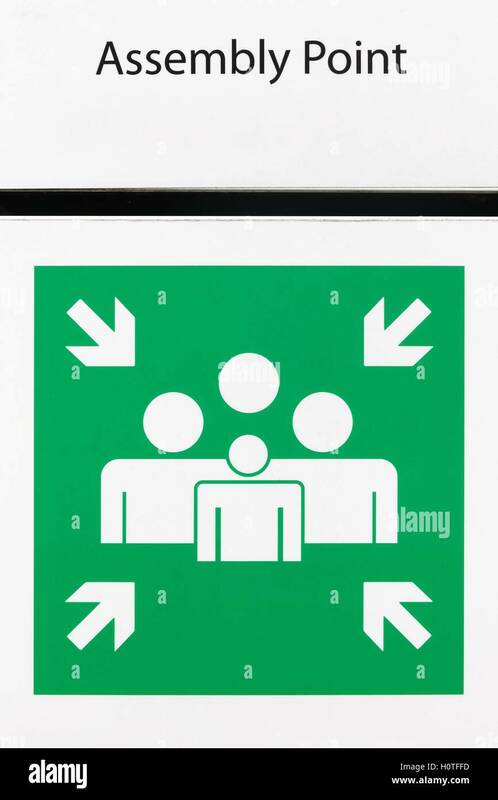 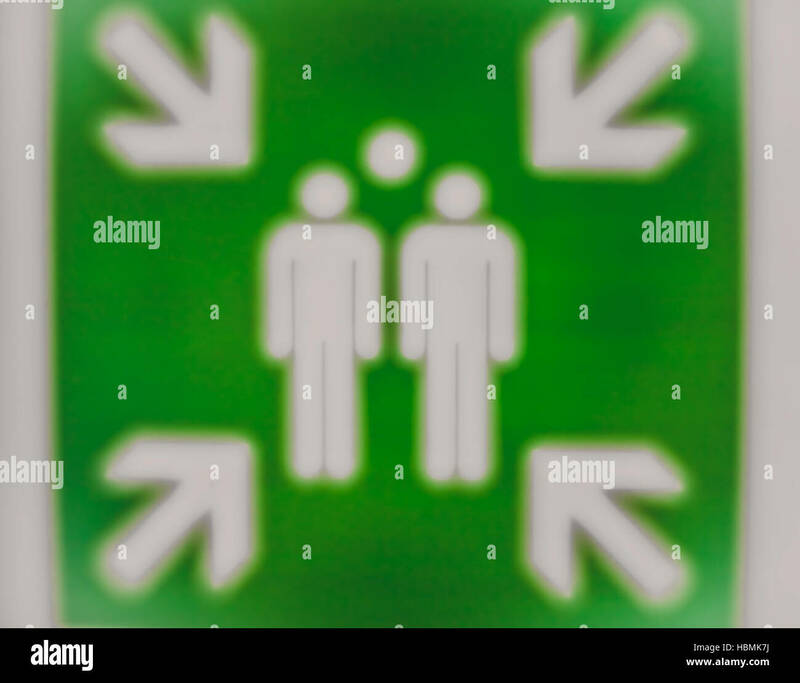 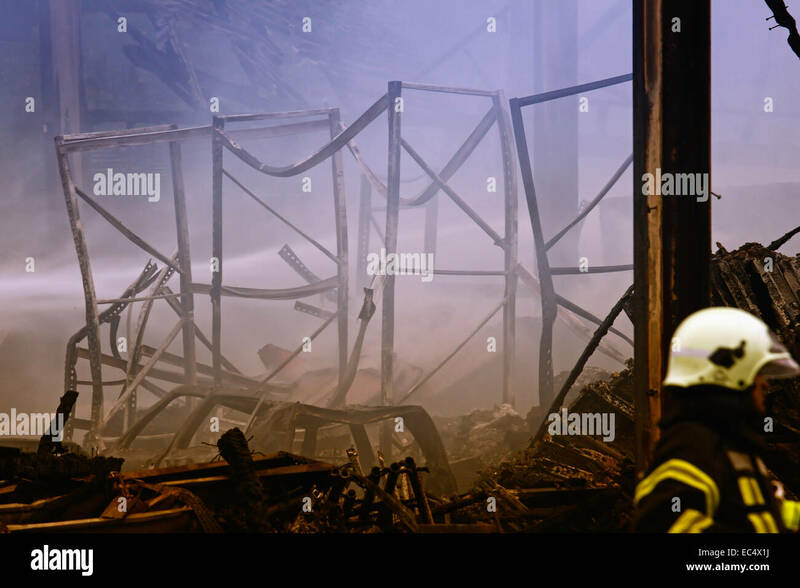 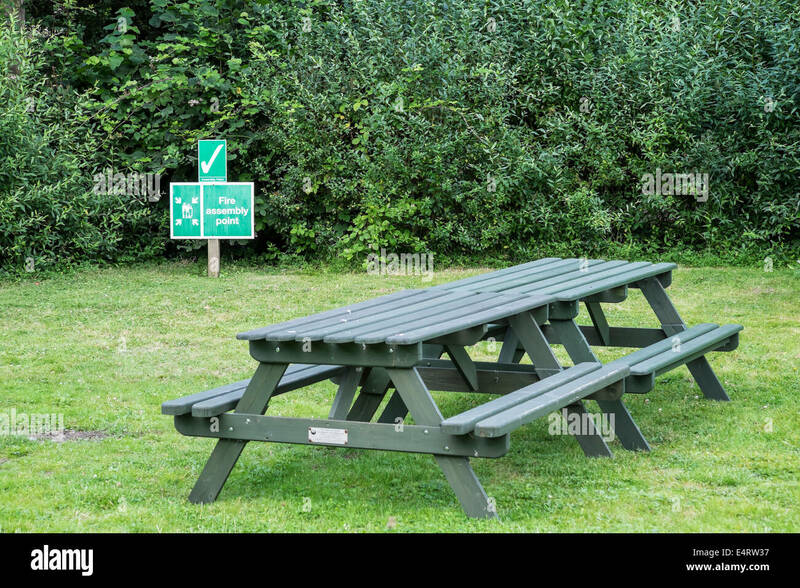 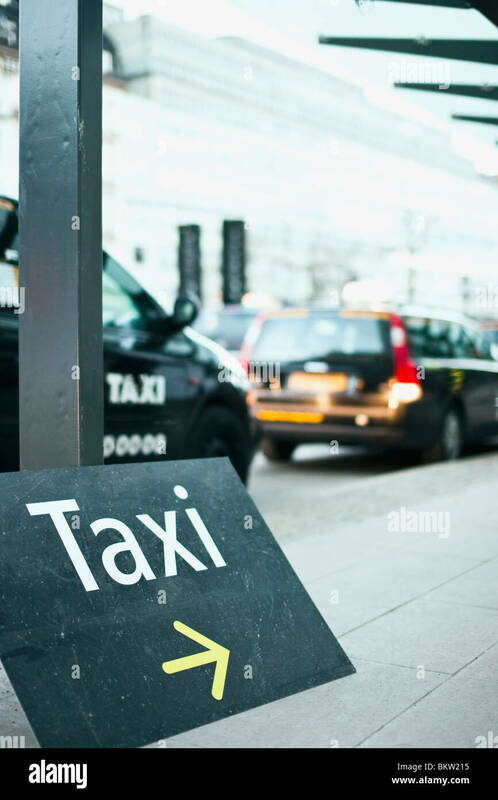 A designated evacuation point in the event of a fire or other such emergency. 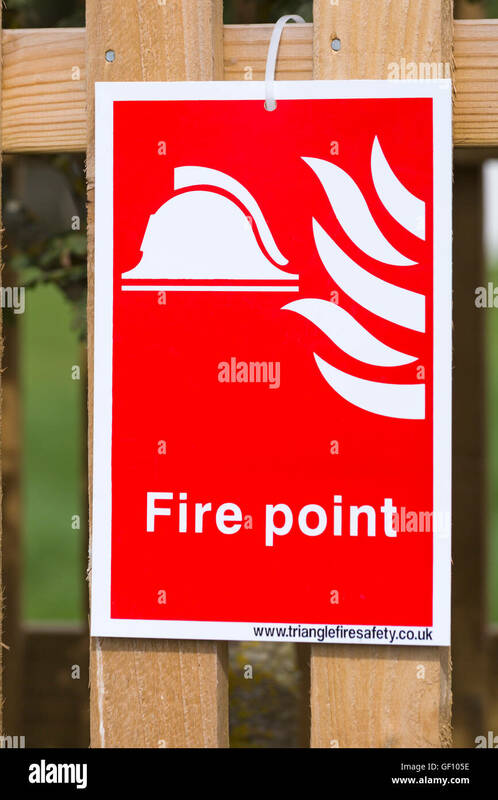 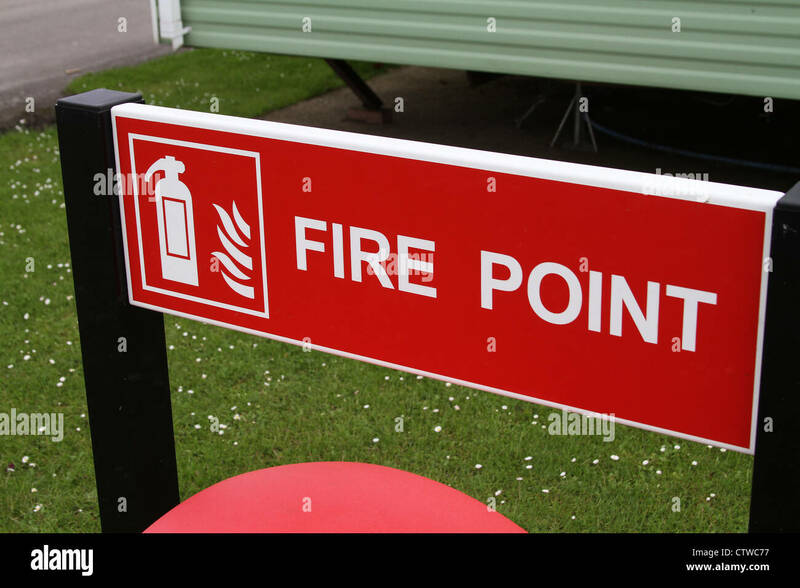 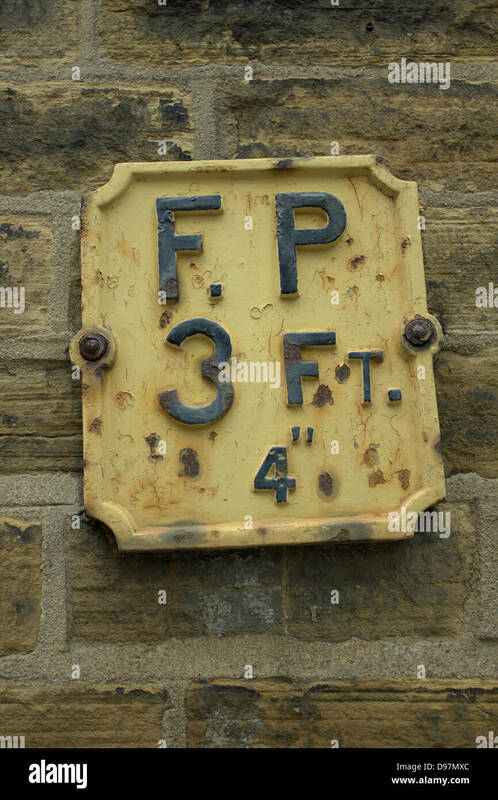 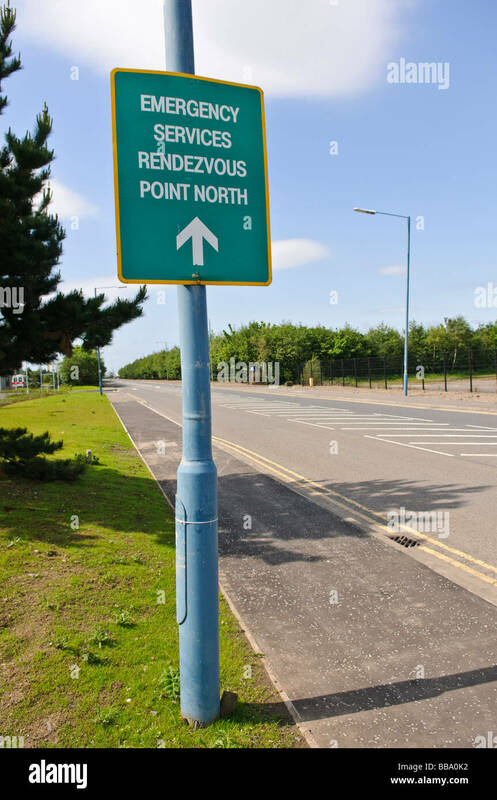 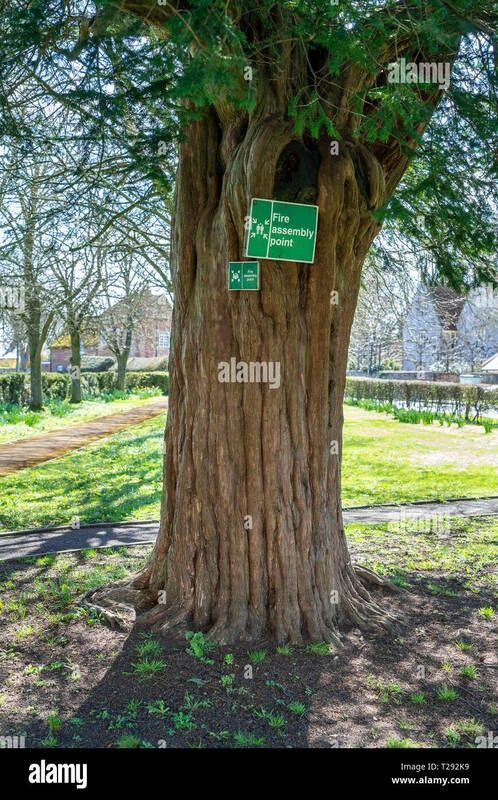 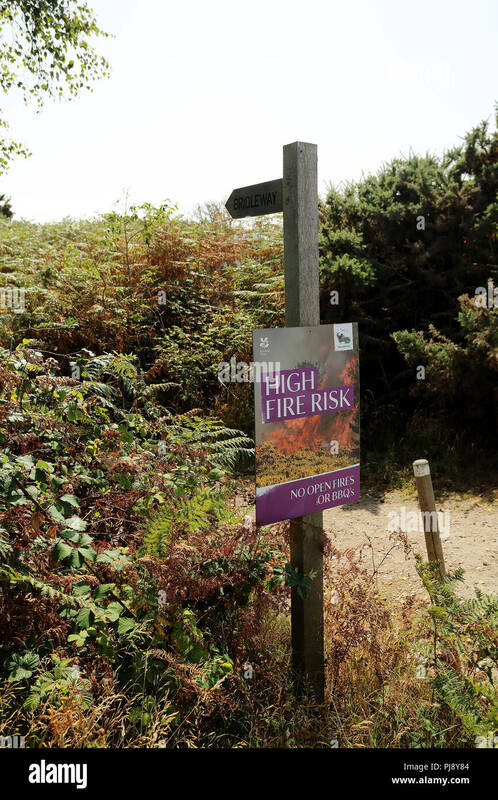 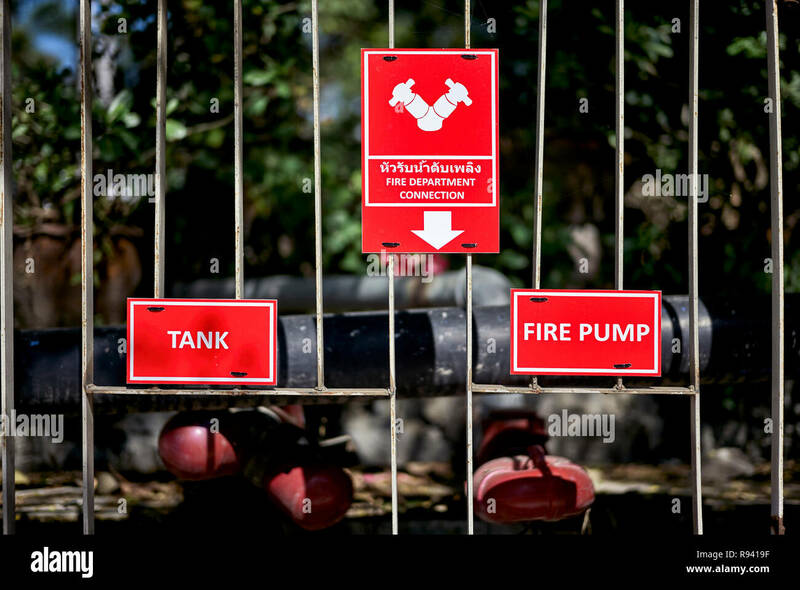 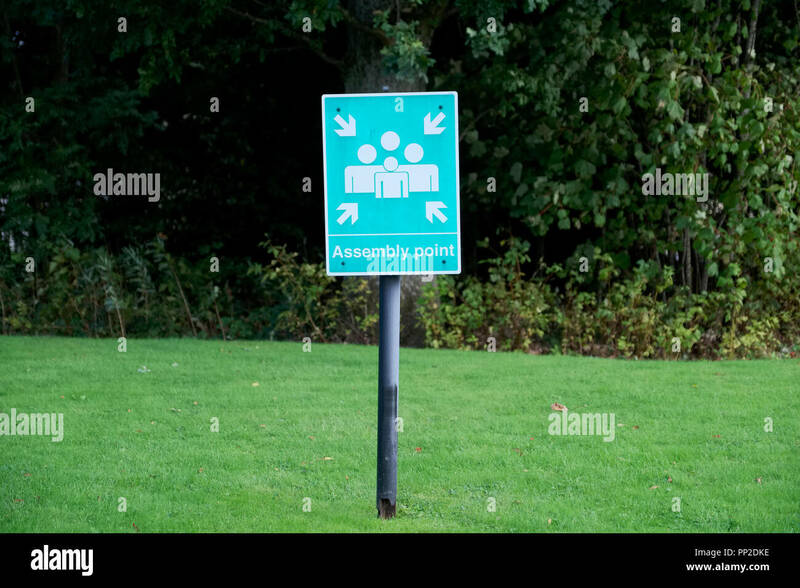 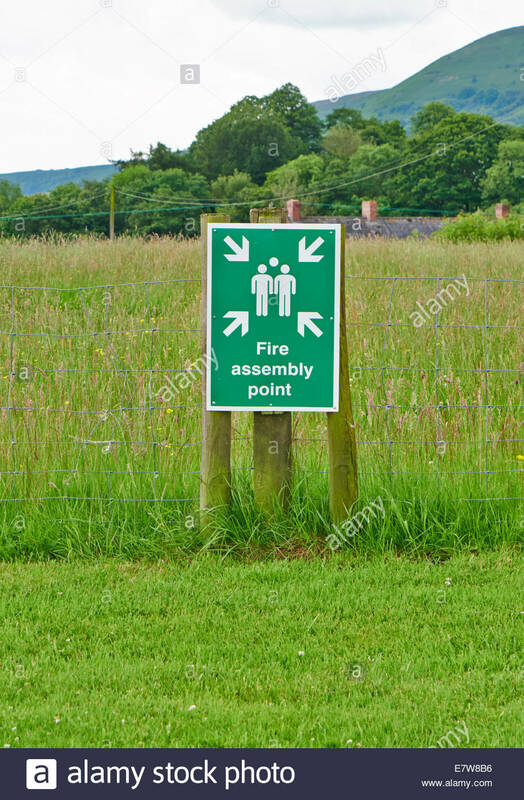 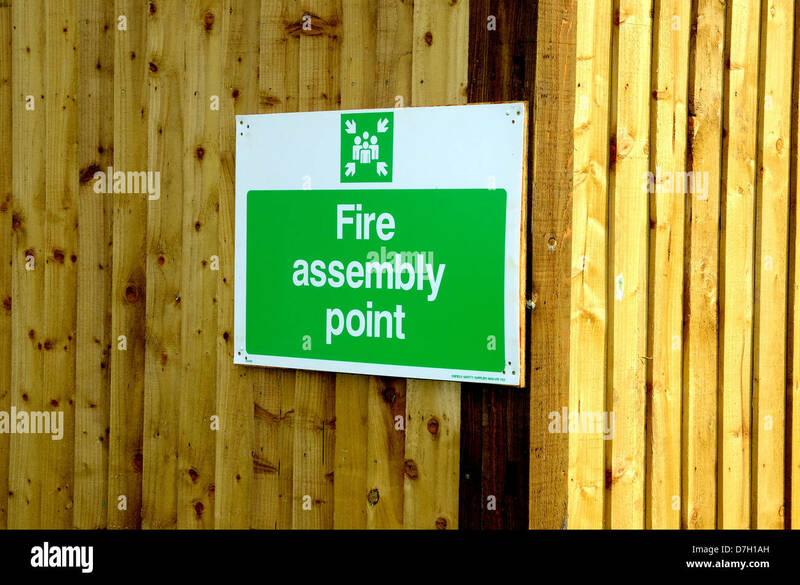 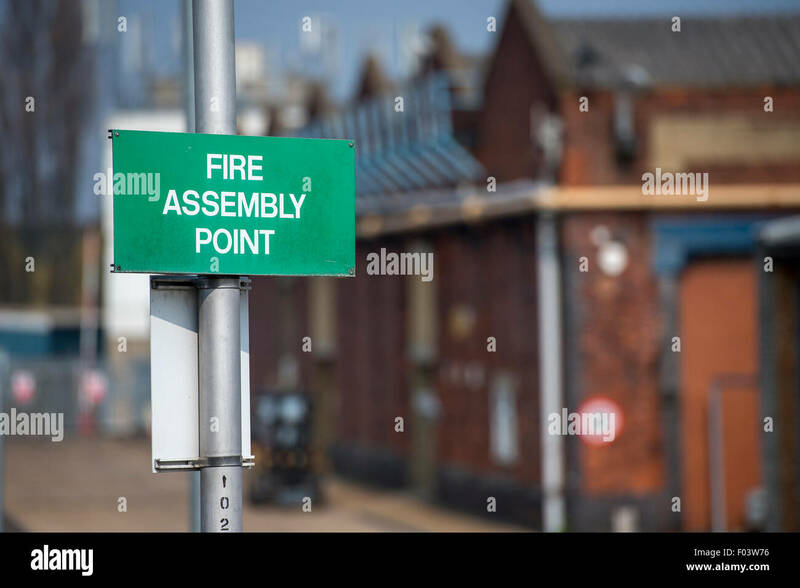 Fire Assembly Point sign outside business premises in England. 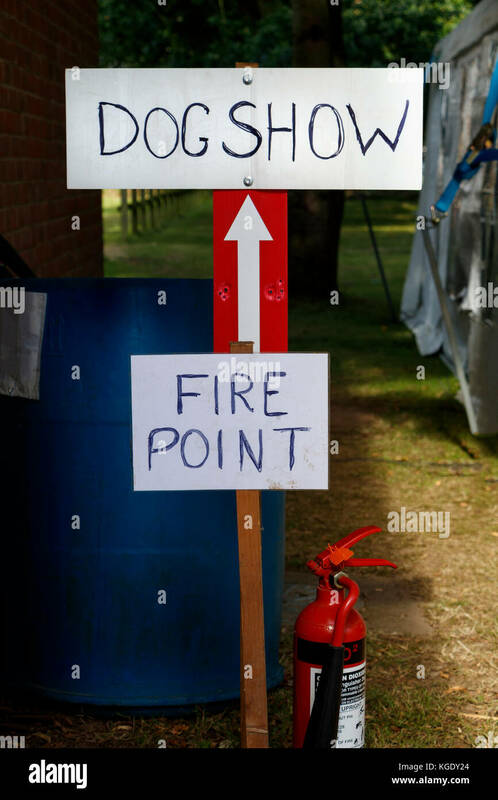 Humorous sign at a rural agricultural show indicating the fire point at the dog show. 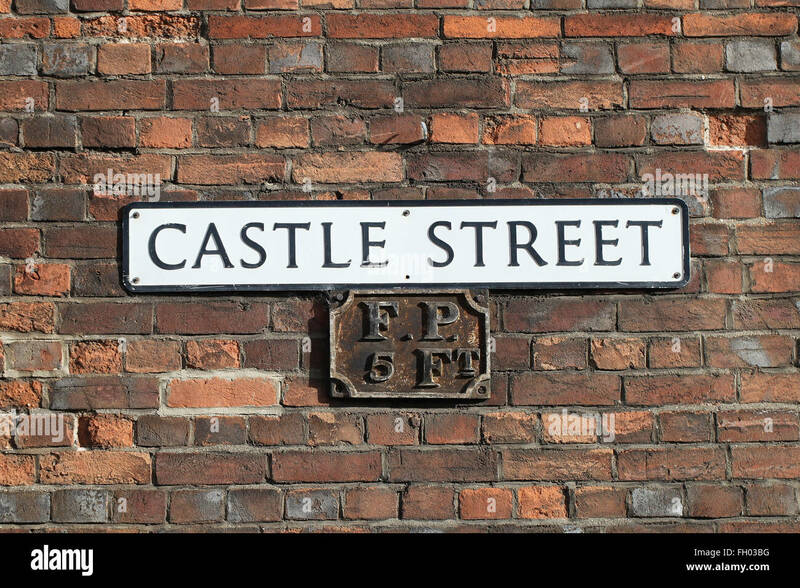 Norfolk, UK. 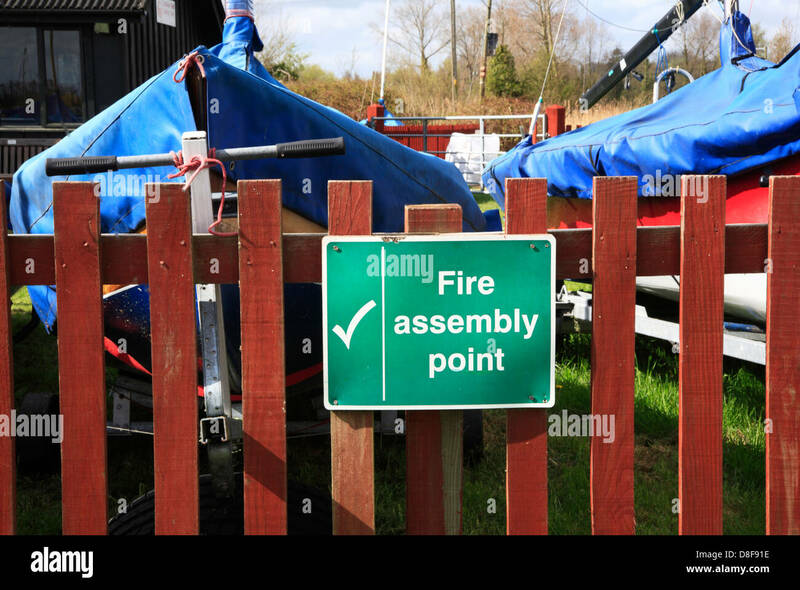 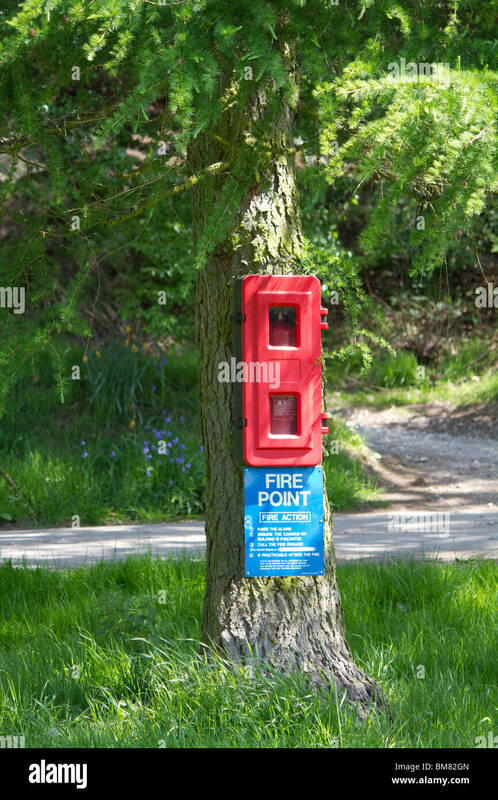 A Fire Assembly Point notice outside a Norfolk Broads Sailing Club. 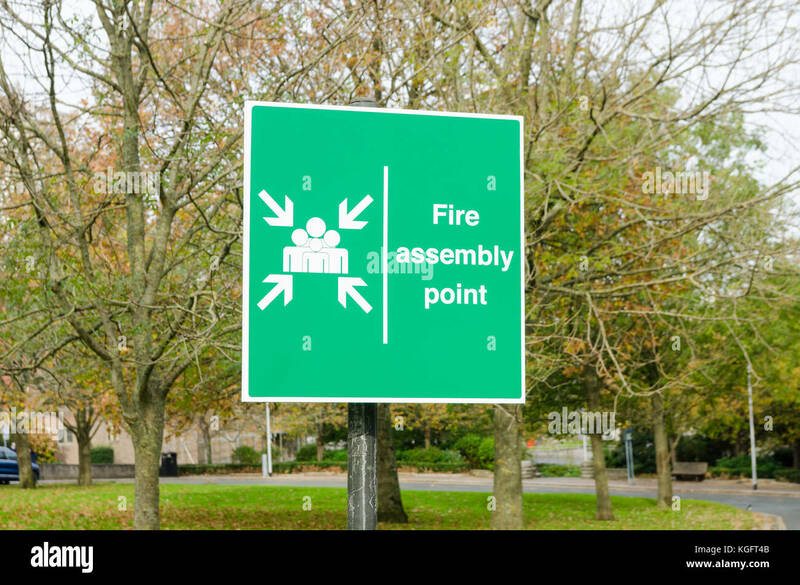 Cointradiction of Fire Assembly Point and Danger of Death signs. 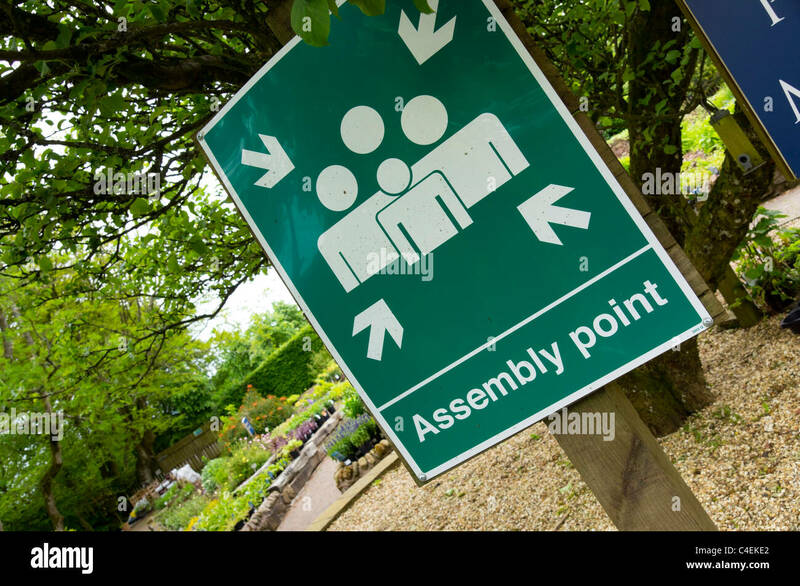 Hetland Garden Centre, Carrutherstown, Dumfries, Scotland - the Old Orchard area. 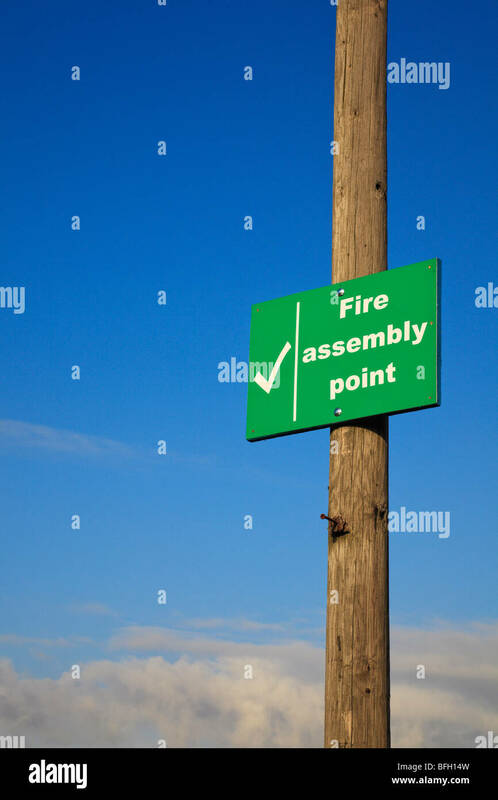 Fire Assembly Point sign. 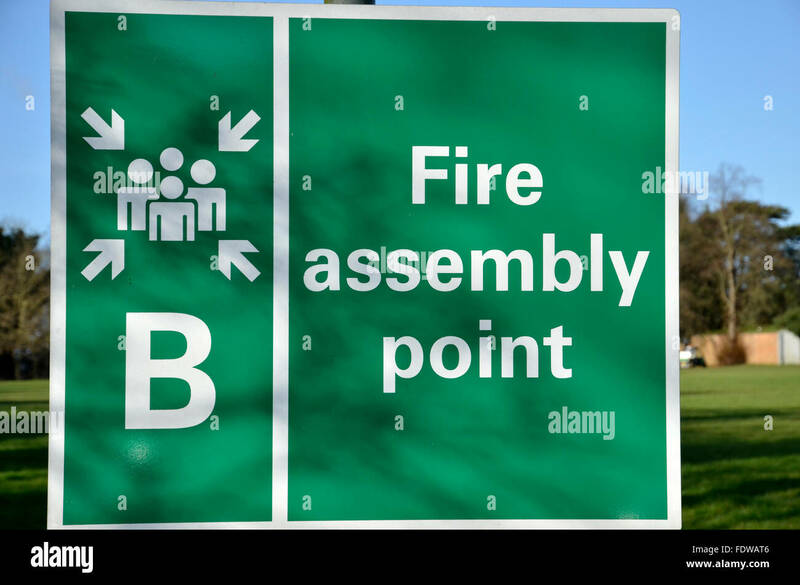 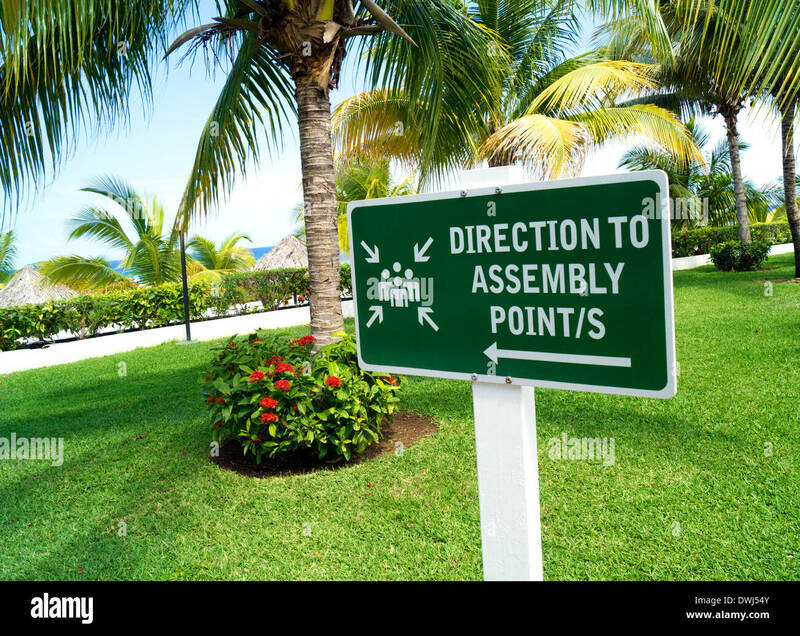 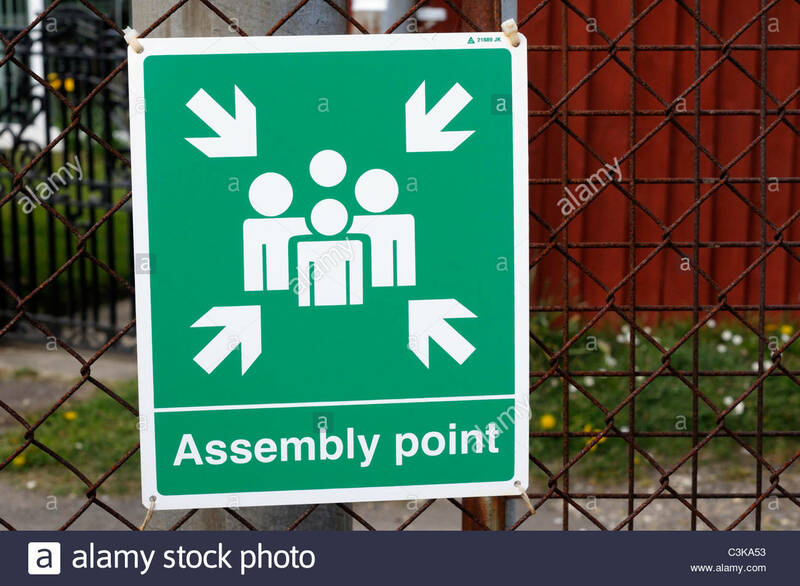 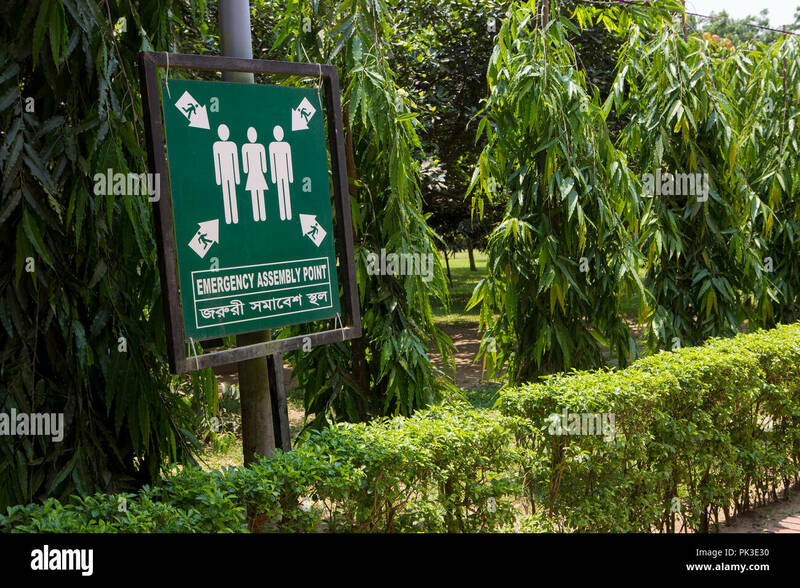 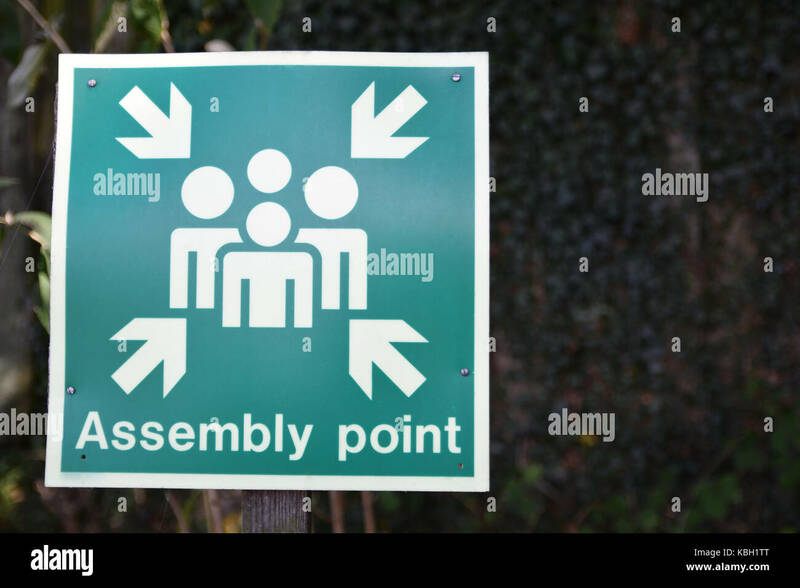 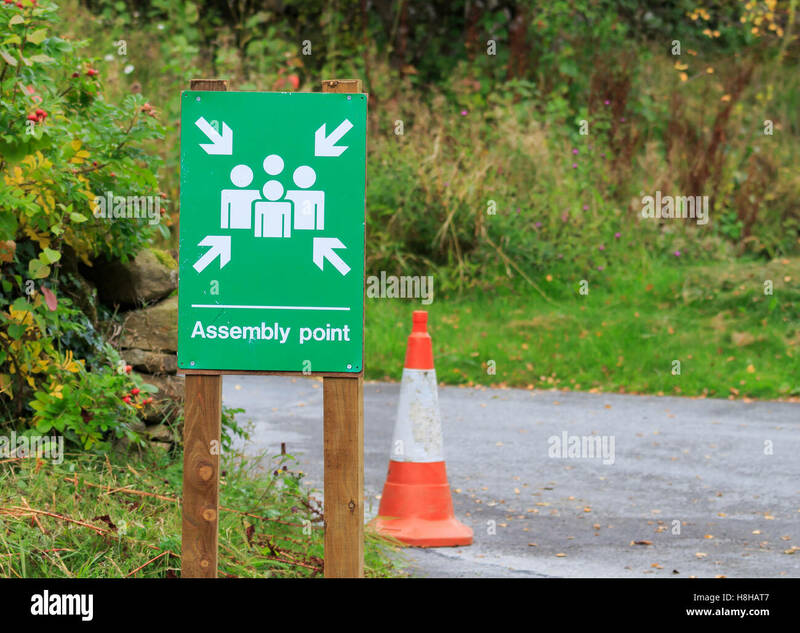 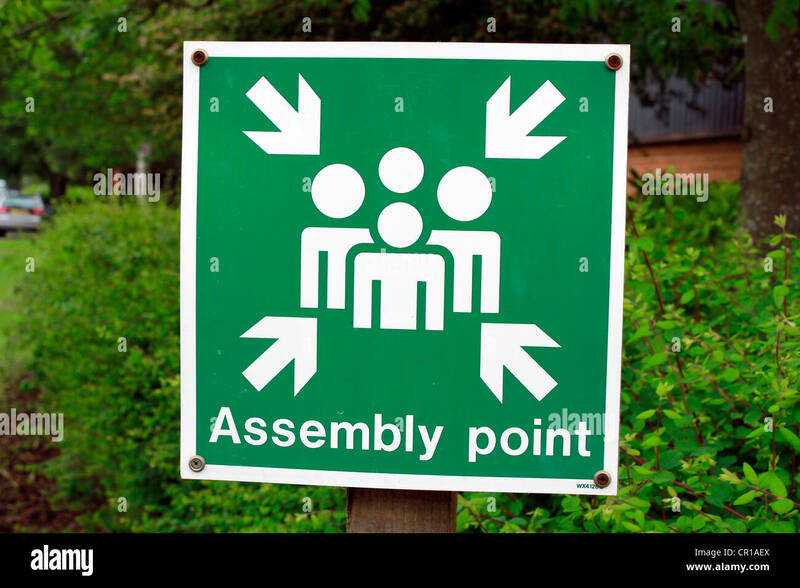 A sign designating an emergency assembly point. 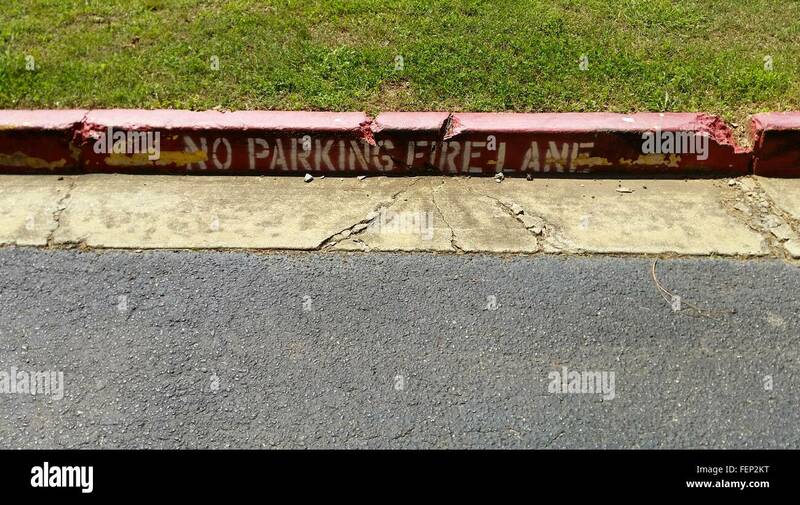 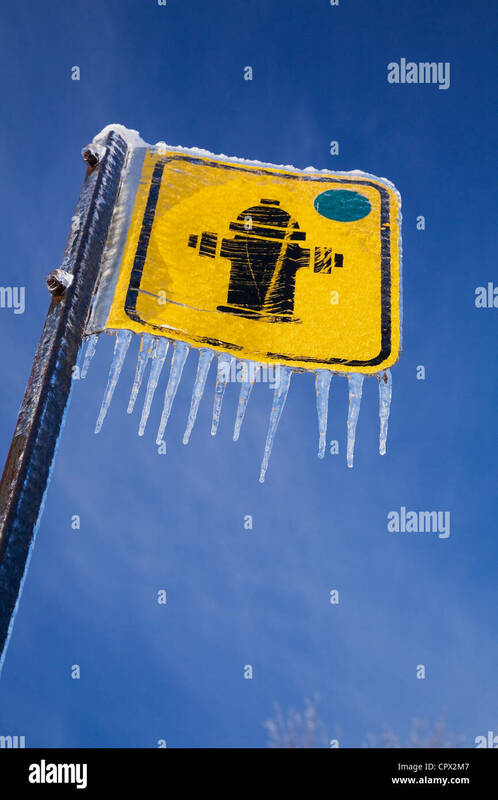 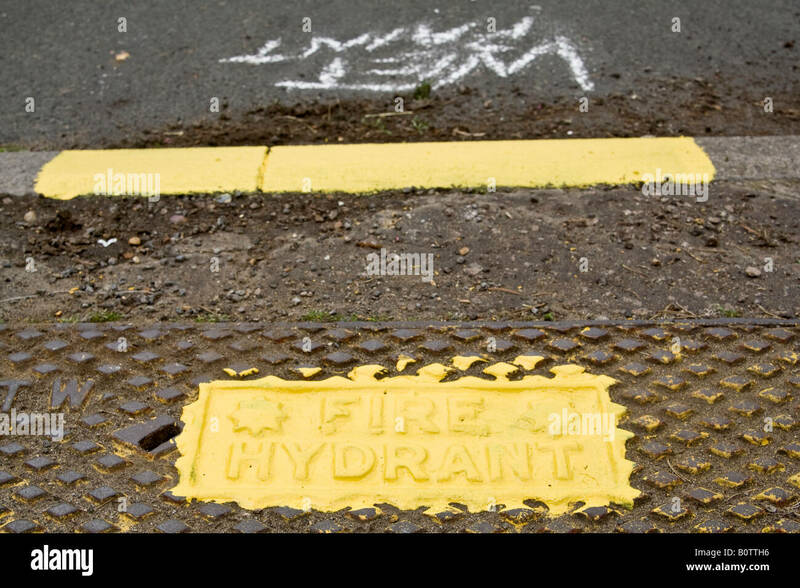 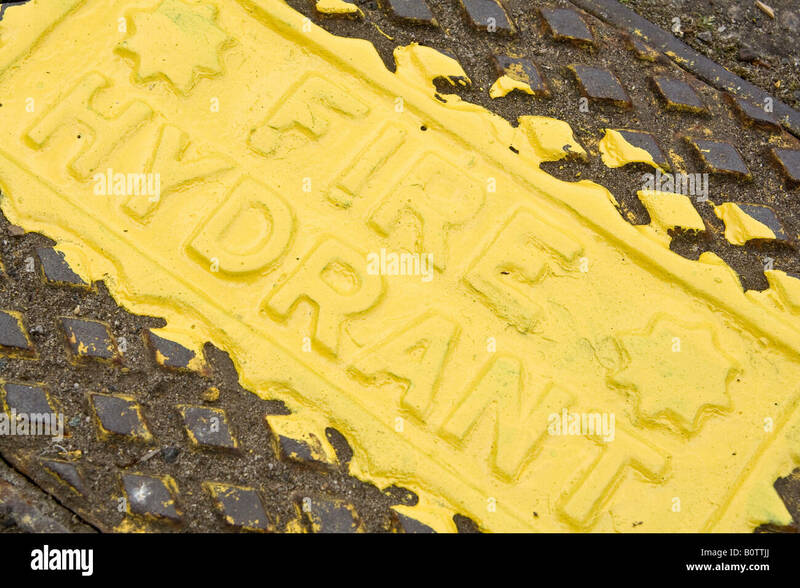 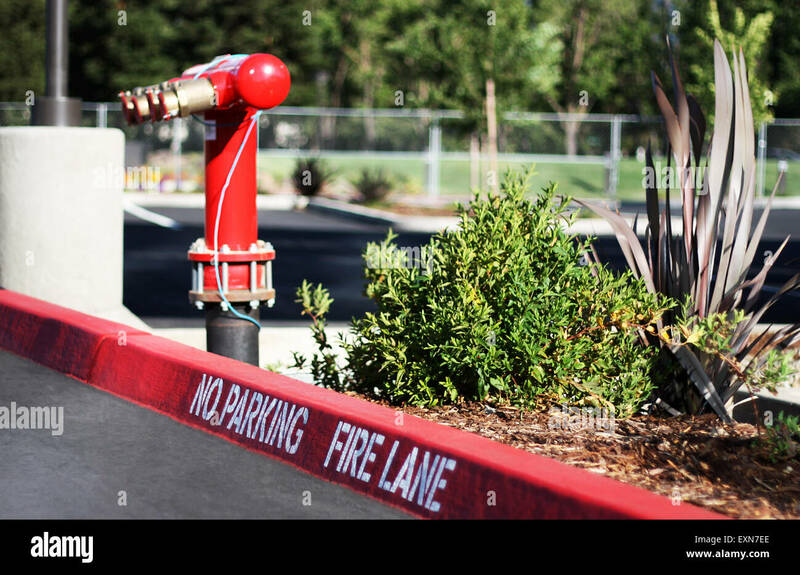 'No Parking Fire Lane' sign on the parking lot, with a fire hydrant on the background.